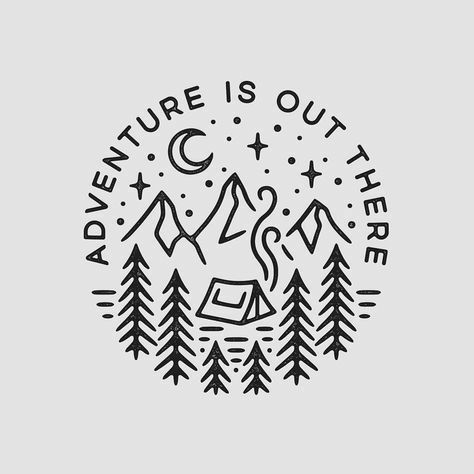 Is your heart aching with desperation to go on yet another adventure but you just can’t find the opportunity? 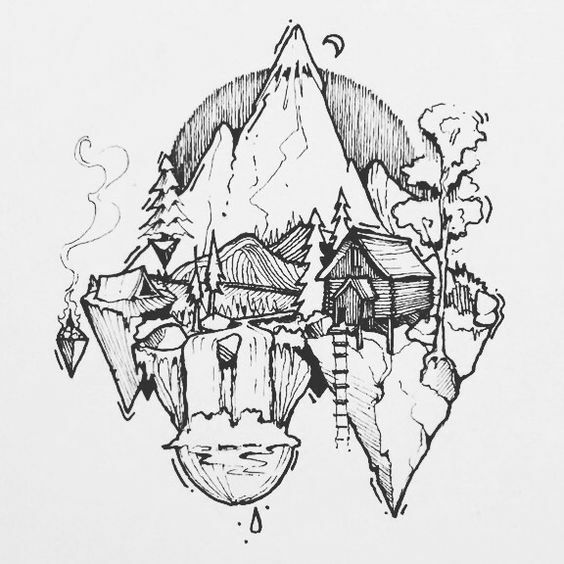 While we may not be able to fix you a break from work, we can show you some fantastic illustrations coming from the hearts of adventurers like yourself. 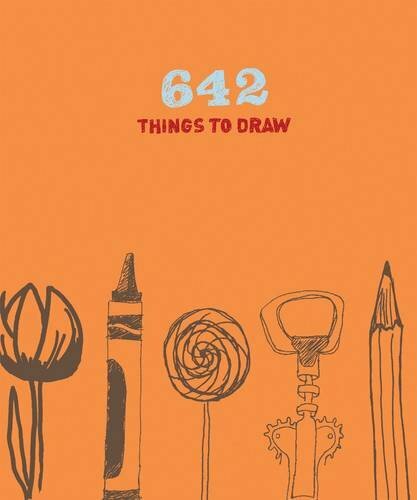 Check out these cool drawing ideas, carefully curated by us to ease your restless mind full of wonder. 58. Oh Deer! Where Are My Flowers? 89. Praise the Sun, the Wondrous Father! 96. 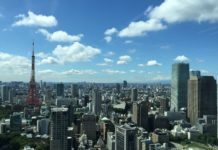 Stop Working; Start Living! 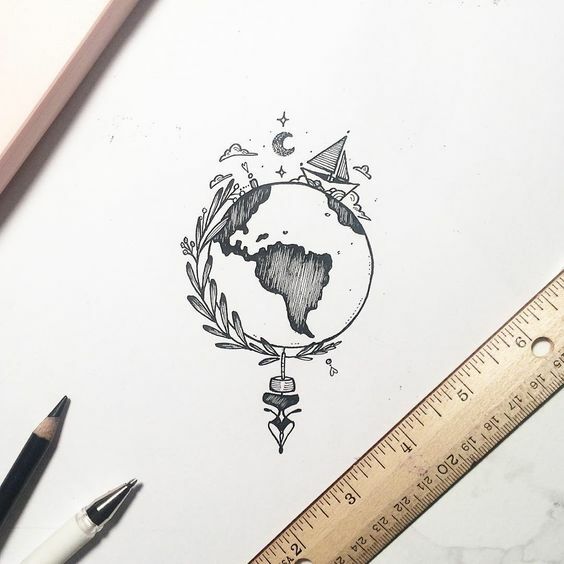 Wouldn’t you want to go on a grand voyage across the world? 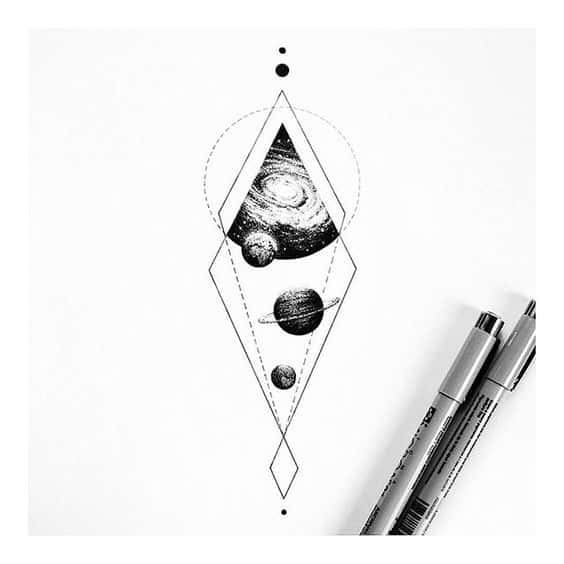 You might be not ready yet, but it surely can admire this beautiful sketch of a 2D view of the planet. 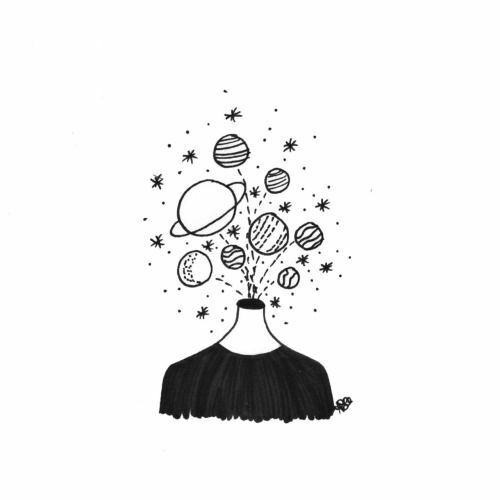 Ever felt like you should be the center of the universe? 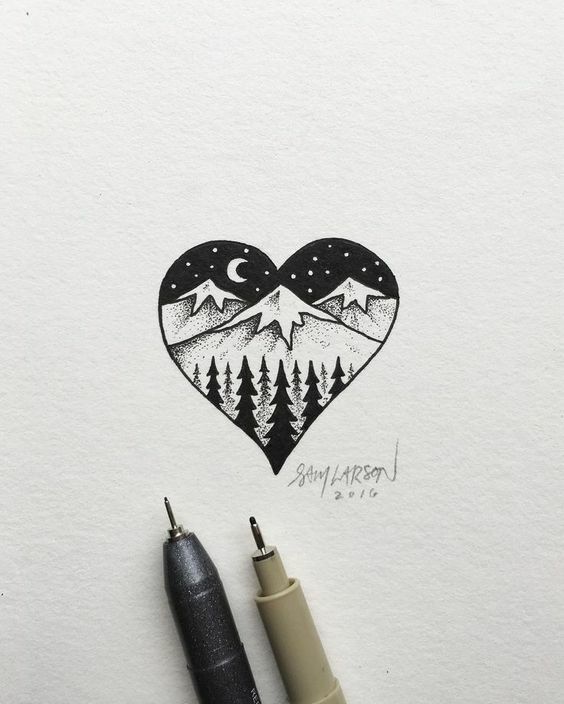 Well, this artist certainly lived their dreams while drawing their vision on a piece of paper. Remember the movie “Into the Wild”? 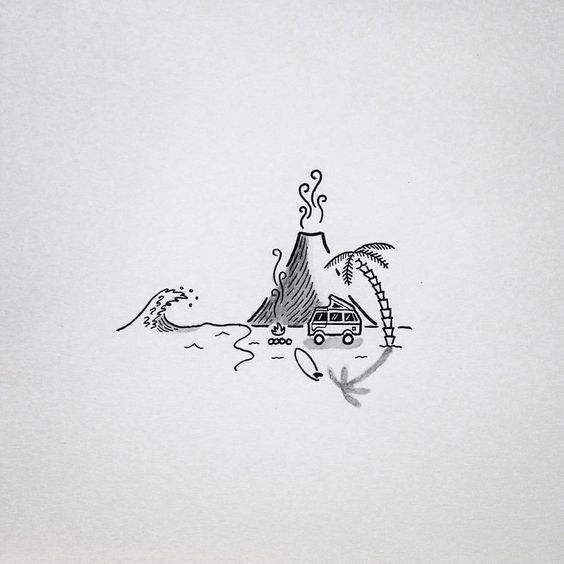 Well, this amateur sketch of an RV with luggage and a surfboard perch above might make you reminiscent of the classic. 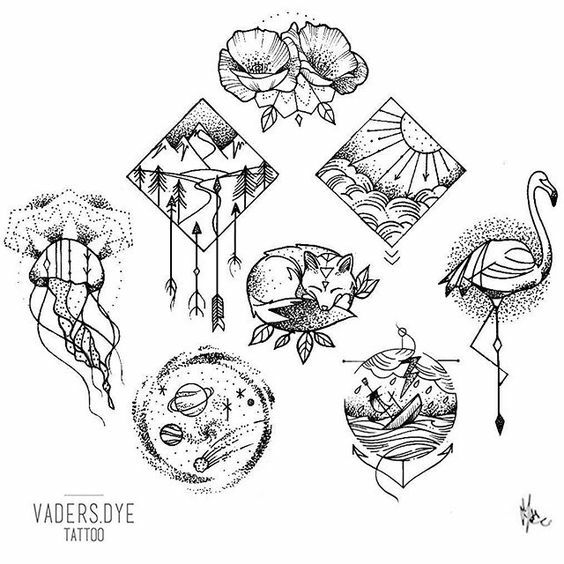 The 70s hippie culture, the fascination for extraterrestrials, and the force of nature that binds together the entire planet summed up in just a few sketches. 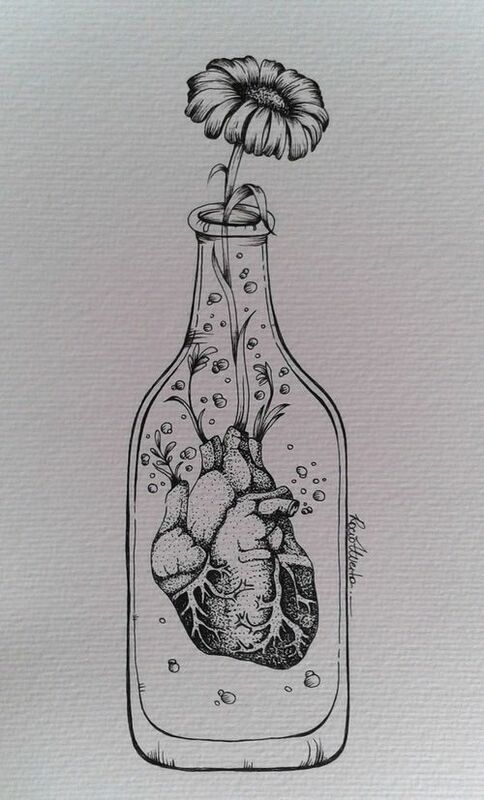 A thought-provoking sketch showing a human heart inside of a bottle supporting a plant. What did the artistry to convey? Maybe we are close to Mother Nature than we think. Take yourself out on a date and enjoy the calm of the woods. When the moonlight shines down on the ground, the world transforms into paradise. A need sketch of a shore as seen from a distance in the sea. The waves seem rather intimidating, don’t you think? 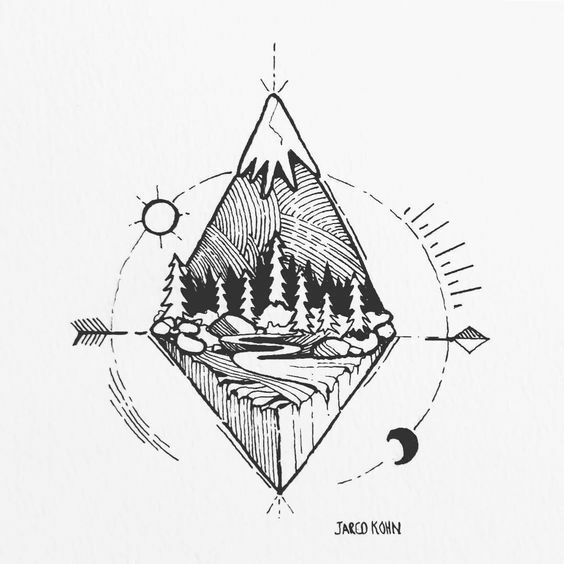 David Powell, with his penchant for simplistic sketches, shows the harmony of numerous elements of nature. You need to give this a serious look to understand the beauty really. 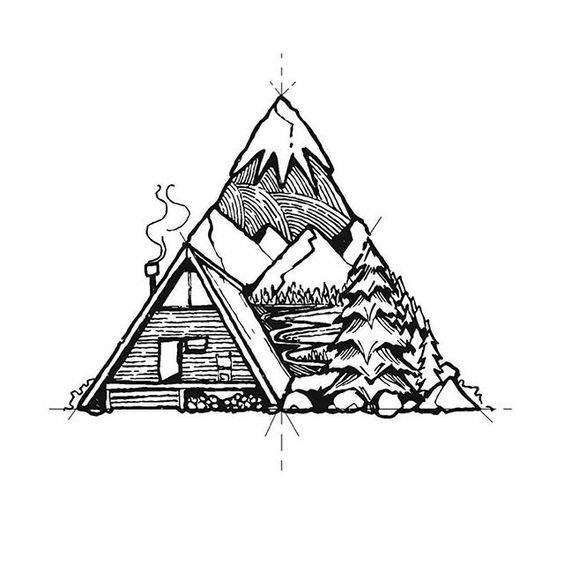 A scenic mountain portrayed beautifully inside of triangular lines. If this is not what you call artistic skills, then what is? 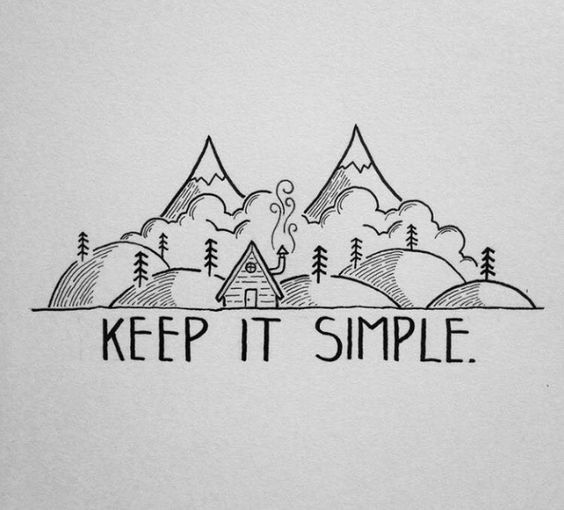 “KEEP IT SIMPLE” – when life can be so easy going, why make it complicated? 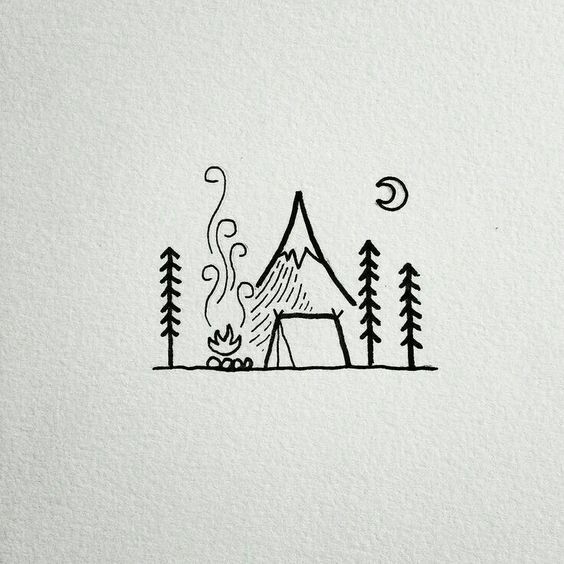 Look at this enchanting sketch of a camping site and a bonfire to fuel your imagination of living detached. 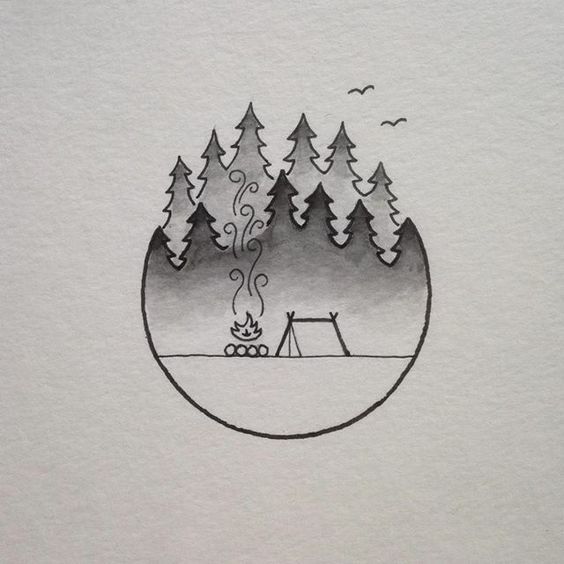 Another beautiful illustration of a campsite encapsulated in a circle drawn by David Powell. The jagged edges of the fern trees break the monotony quite a bit. Another scene of a campsite with the river flowing in the middle. 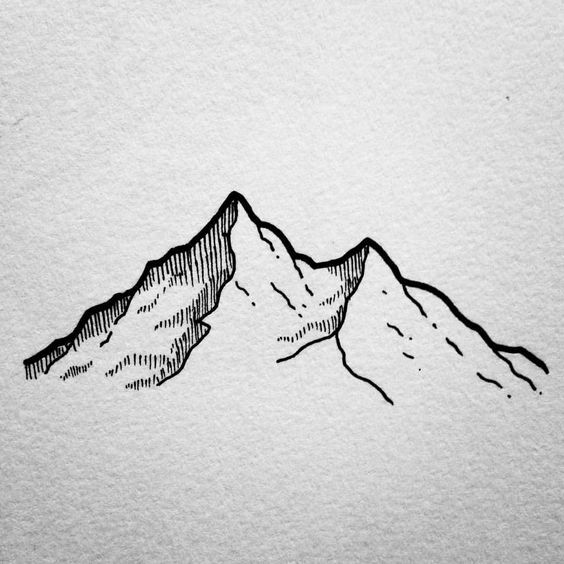 You can see how beautiful this sketch would look if turned into a logo. 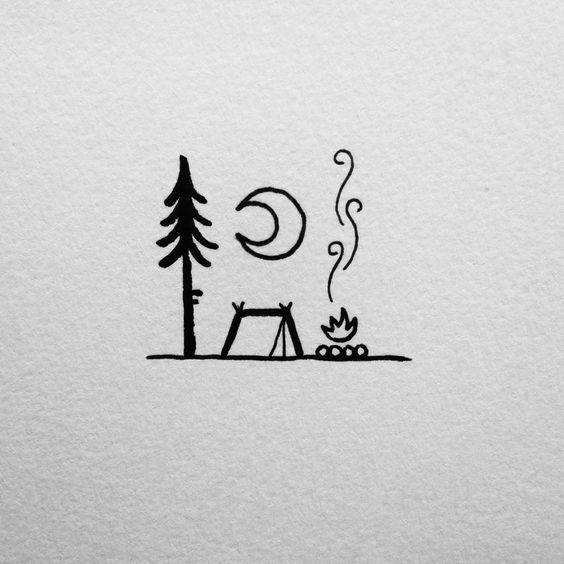 Minimalist illustration has never been so classy! 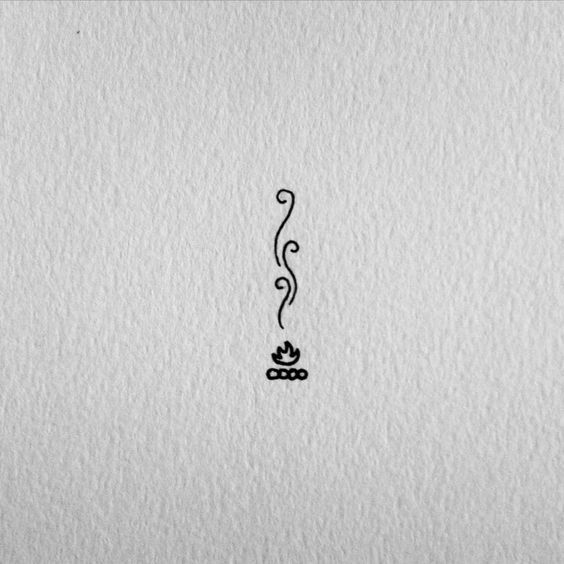 Who knew that David Powell could work of magic by drawing a simple bonfire on white paper? 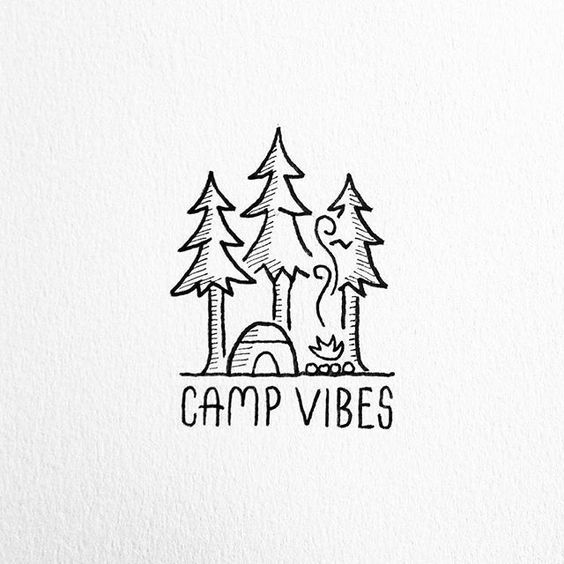 David Powell returns with yet another illustration of a camping site, this time taking a more orthodox approach to creativity. This work of art is special, yet not overbearing. A tent, towered by a cliff at a distance, and the full moon showing her might in all glory. Is this what a beautiful night out in the woods look like? David Powell’s liking for a quiet night out in the woods seems to have no end. 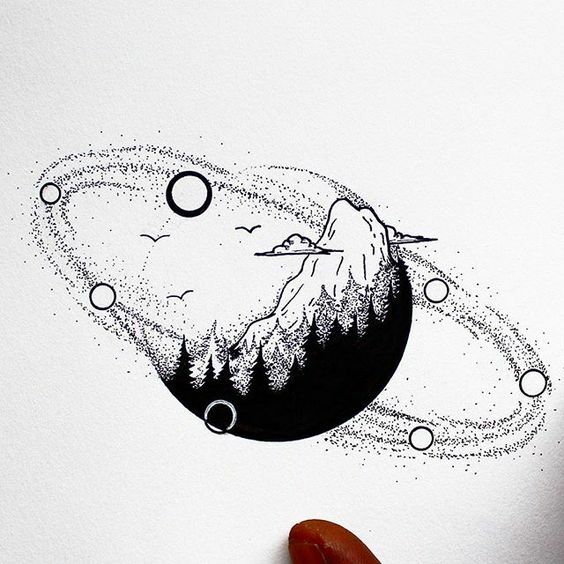 This beautiful illustration just shows the artist’s creativity. Nothing can be more relaxing than swinging in a hammock, while out with your best buddies for camping. 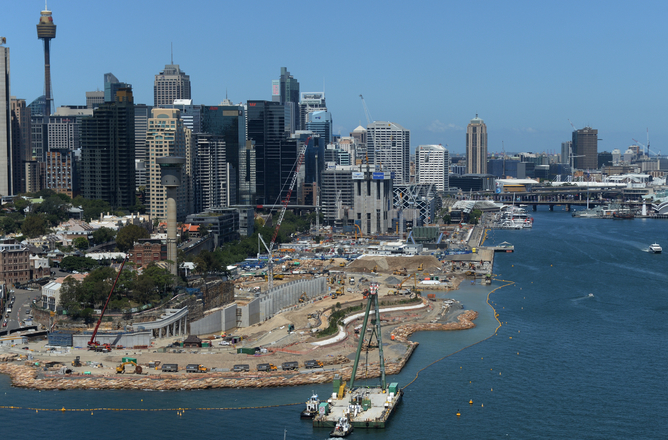 Look at this picture and tell us if it doesn’t make you want to be there. 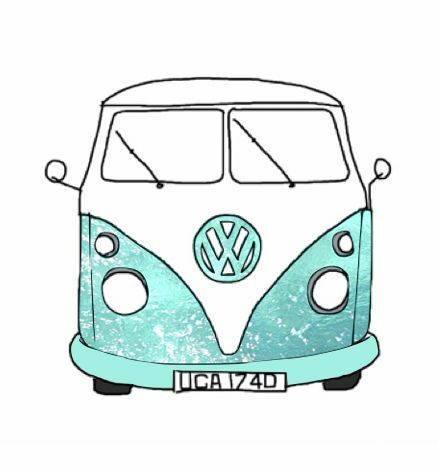 Enough of the forests; beach lovers gaze upon this illustration, and we promise you’ll instantly be transported to a beachside, with cool winds and rolling waves. The title of this image is pretty much self-explanatory. The image shows the difference in the scenery in summer and spring. We bet there are fans of both the seasons. 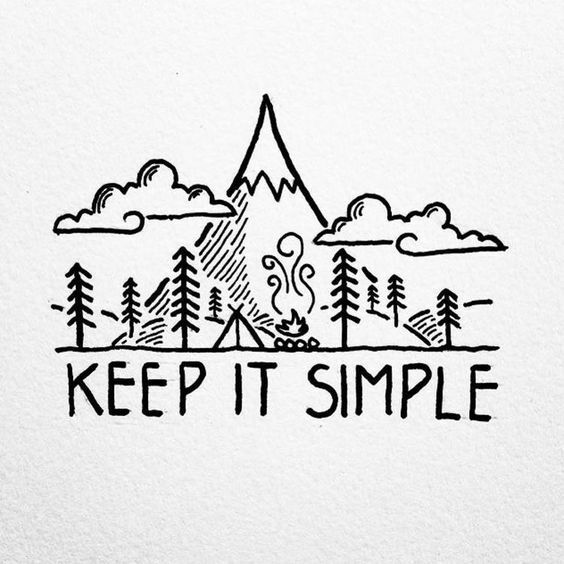 Camping alone might have some risks, but the wisdom and peace of mind you gain from the tranquility are the greatest rewards anyone can get out of life. 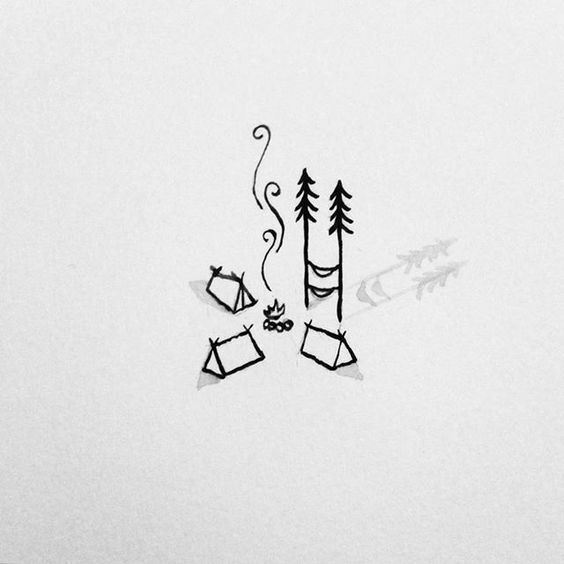 Sam Larson tries his hand in drawing a campsite with only one tent, a bonfire, and some fern trees in the background. The impact this image makes is noteworthy. What is your dream camping place? 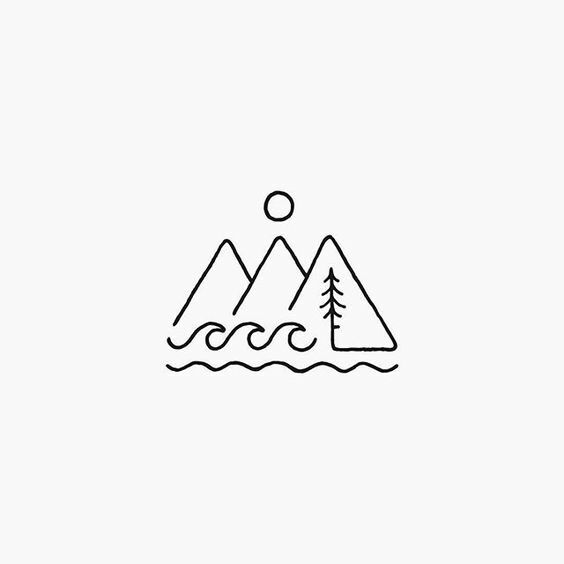 Is it near a cliff overlooking the ocean, in the midst of a forest, or in your imagination floating high among the clouds? If you can dream it, you can do it! Very few things can be soothing to the brain than camping right beside a river. The sound of the flowing water is sure to calm your tired nerves. 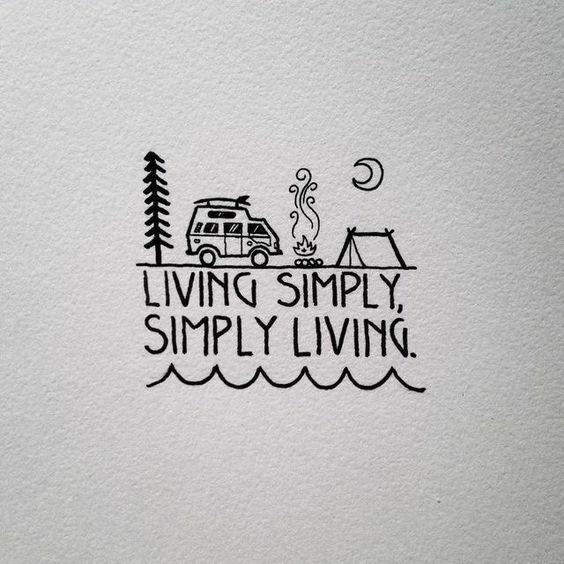 Living simply, or simply living? We say both! 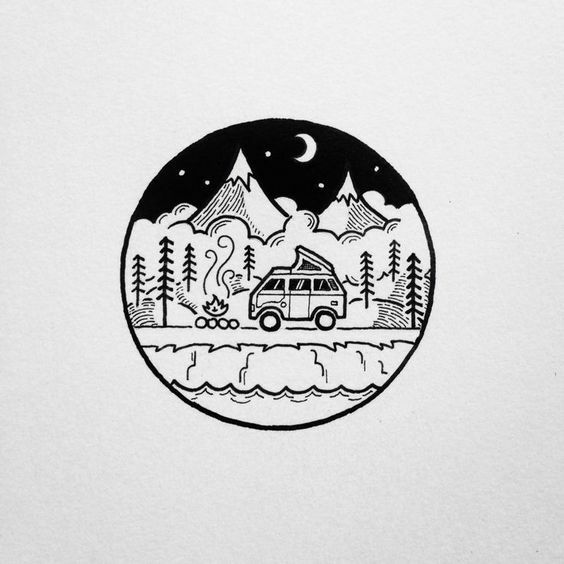 This image with an RV, a bonfire, a tent, and the crescent moon in the distance speaks a thousand words on living. This enchanting illustrative painting might not seem blindingly obvious, but a closer look reveals a sunrise beyond some high cliffs. 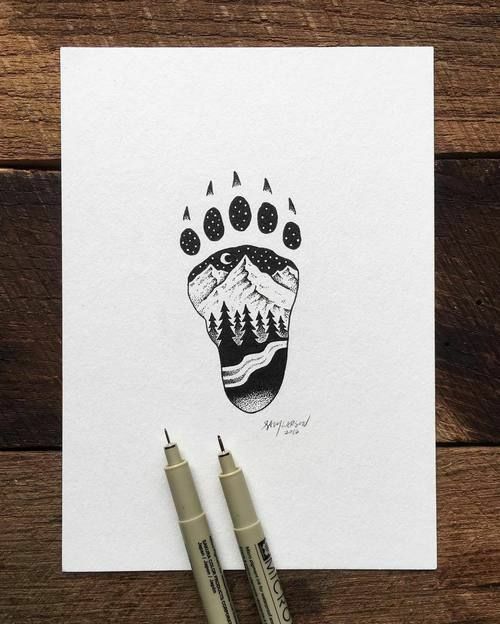 How innovative is this design of portraying nature through the paws of a mighty beast? Is it a lion, tiger, or a giant grizzly? 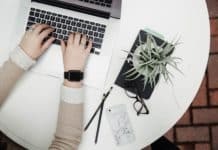 We leave the thinking up to you. 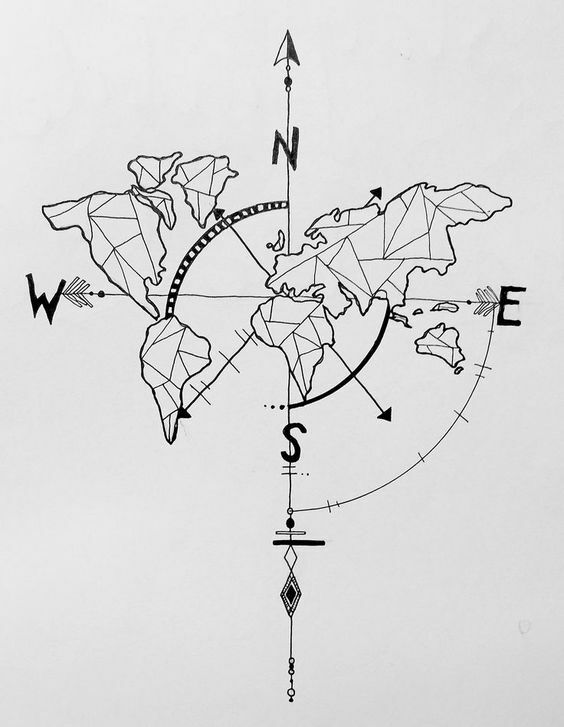 This inspirational image shows a 2D version of the Earth’s map with North, South, East, and West pointed in directions. 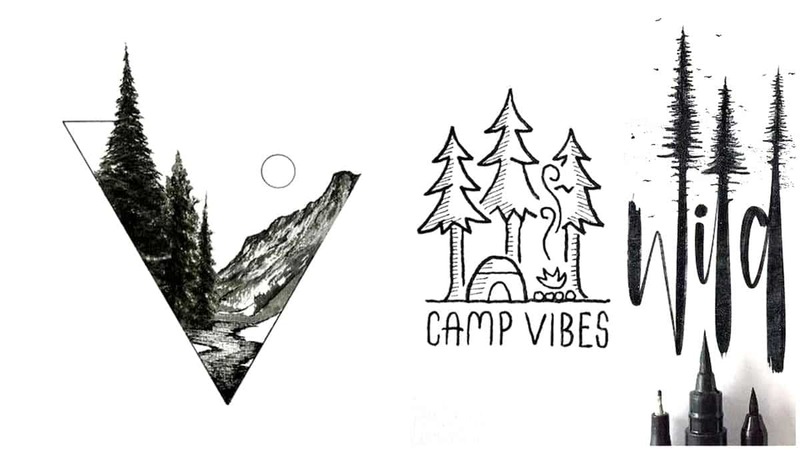 We don’t know what exactly it signifies, but it sure looks great! Don’t you love blowing dandelions? 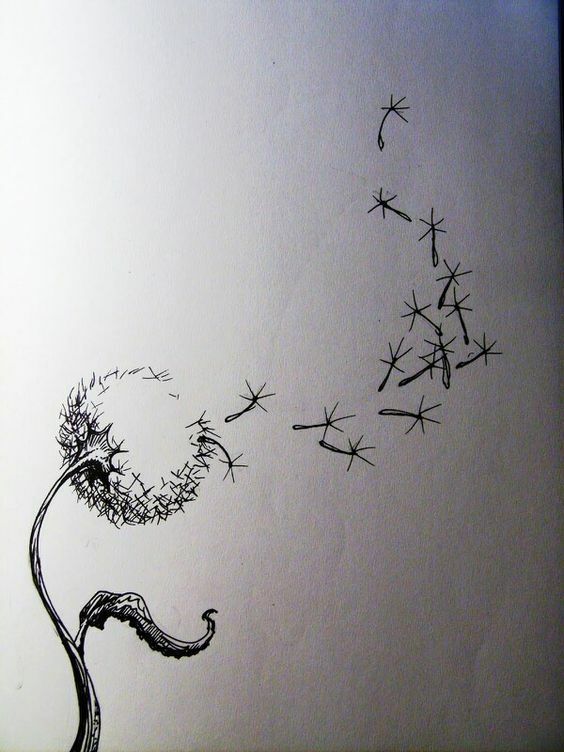 Well, check out this artist’s rendition of the blowing of dandelions in action in a fine sketch of black and white. Looks beautiful! 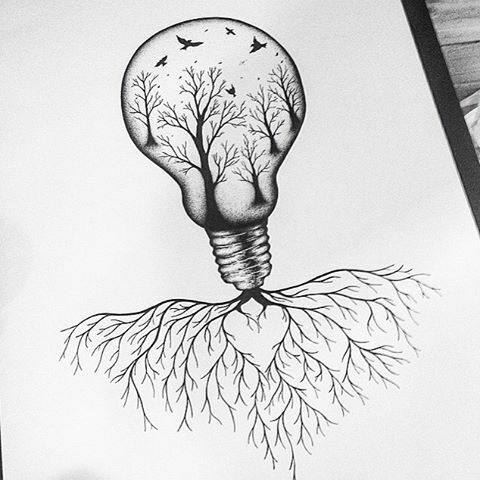 A thought-provoking piece of art showing the growth of a light bulb with trees and birds flying inside. 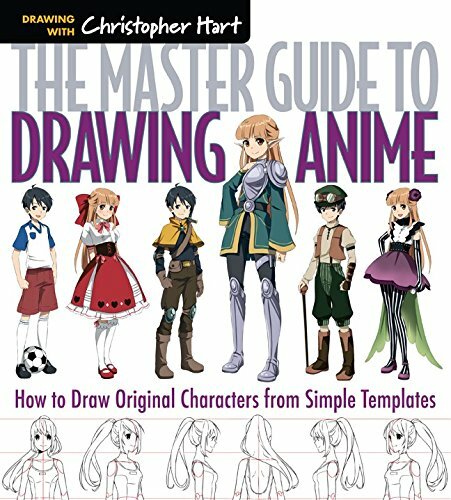 The idea must have come to the artist’s mind as Eureka. 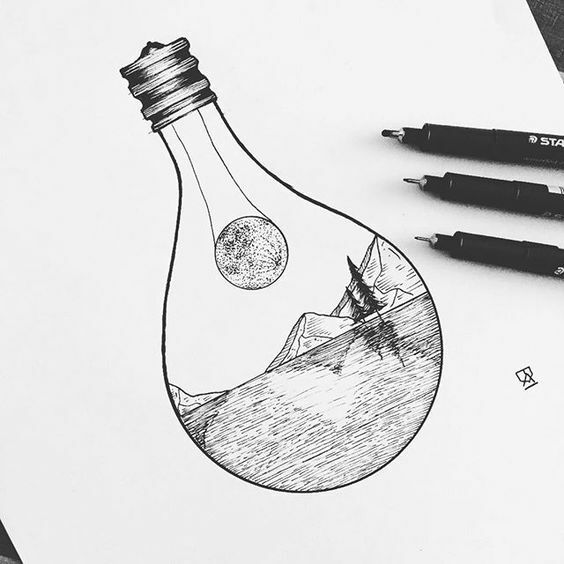 Another beautiful sketch within the confines of a light bulb shape shows mountains and the sun living harmoniously. Pretty neat, right? What can be a bigger religion than the religion of Mother Nature? 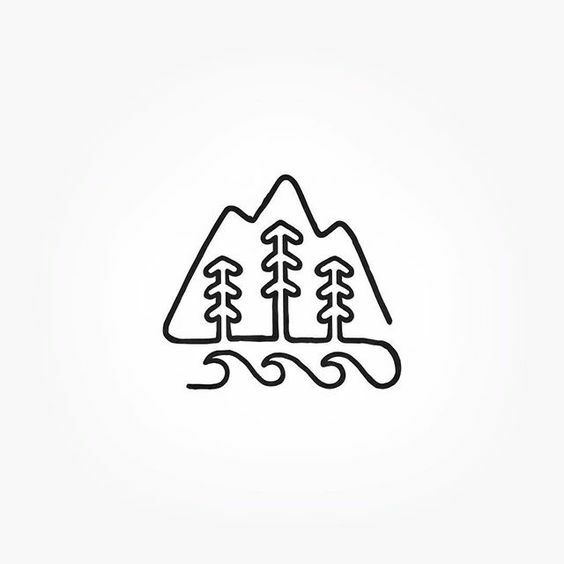 Here you see a highly popular religious symbol spectacularly portraying the forces of nature. When fantasy and reality collide, you get something that is thought-provoking. 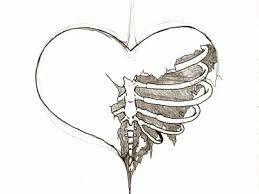 One half of the heart is intact and the other half is decaying. Could this mean heartbreak? 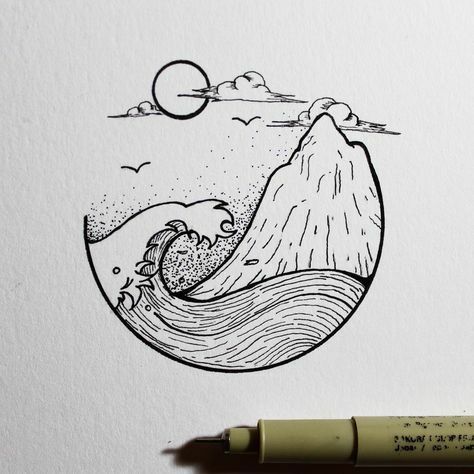 Once again, a wavy scene is illustrated within the confines of three fourths a circle. The cliff, the wave, and the birds flying never looked so serene in unison before. 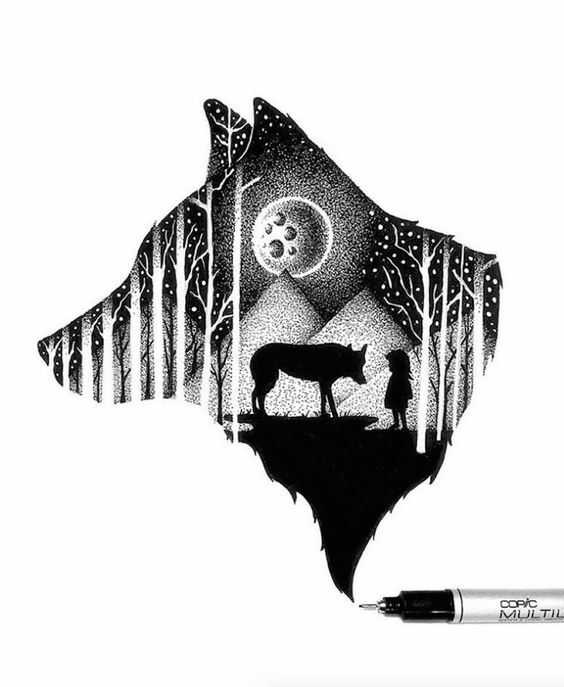 Eva Svartur has made a fantastic sketch of a moonlit night with a lone wolf out on a hunt. 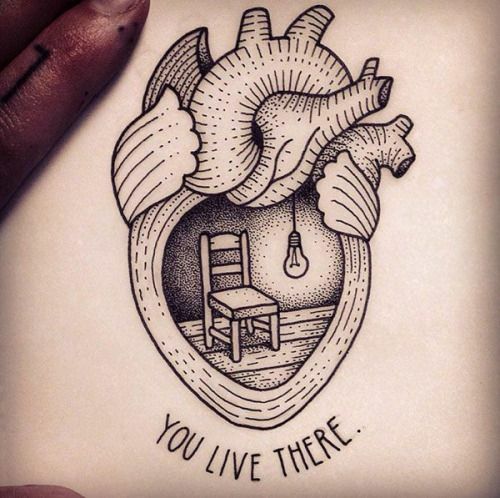 Imagine what you may, but the idea of this image is indeed unique. 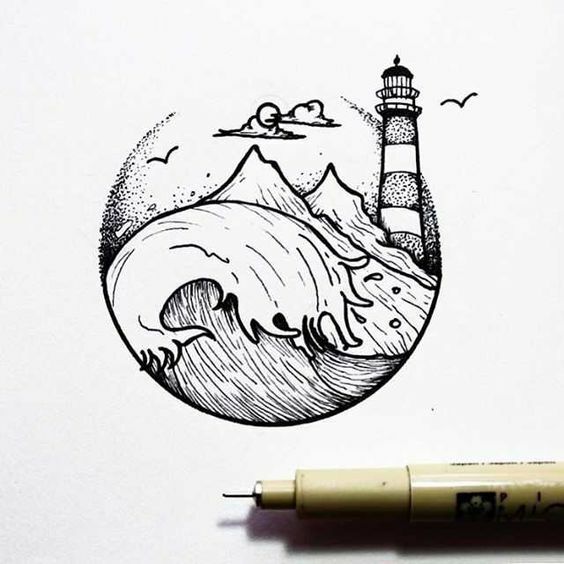 Osman Mansaray once again manages to take our breath away with a lighthouse scene with roaring waves and flying birds. Does this remind you of any movie? The master of minimalistic art, David Powell, draws a simple cliff a river and a tree using as few lines as possible. 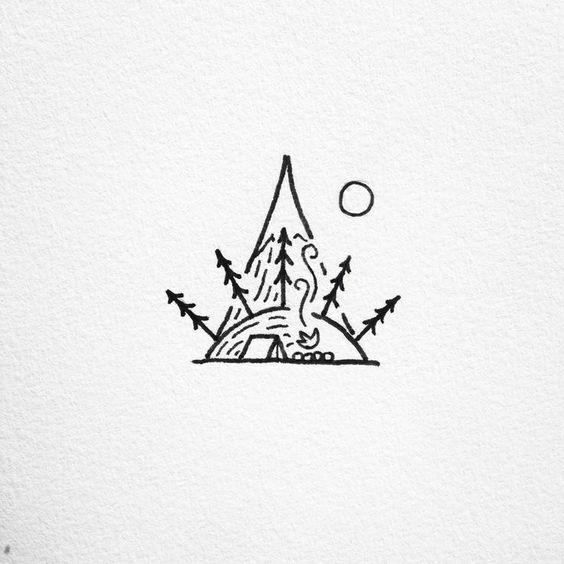 Is there any way you can beat his minimalistic style? 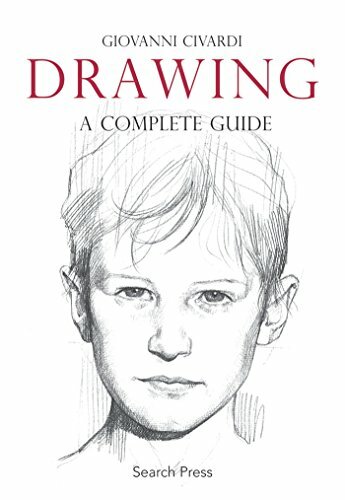 Once again, the master – David Powell – conjures up magic using few strokes of his pencil. 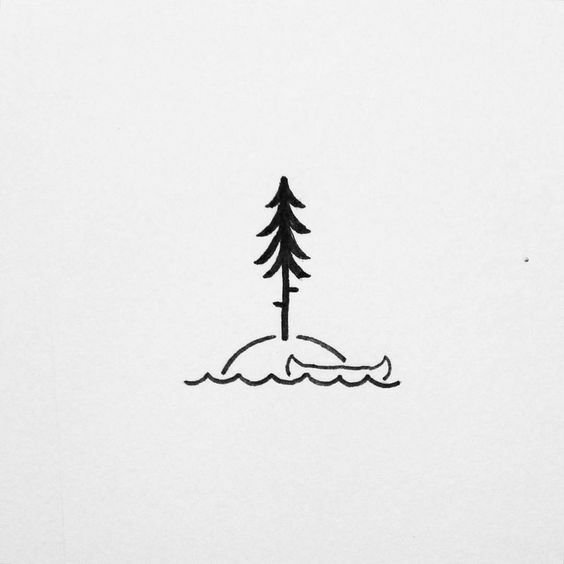 Can you depict an island with a boat nearby it in a simpler way? We bet not! 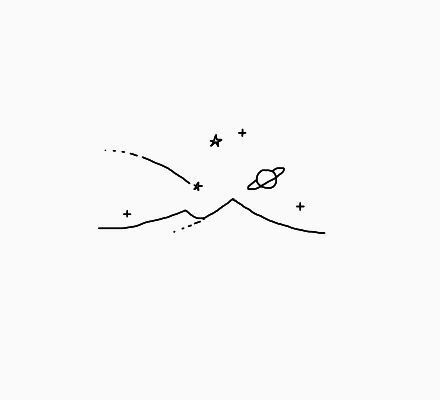 We are made of stars, and to the stars we shall return. 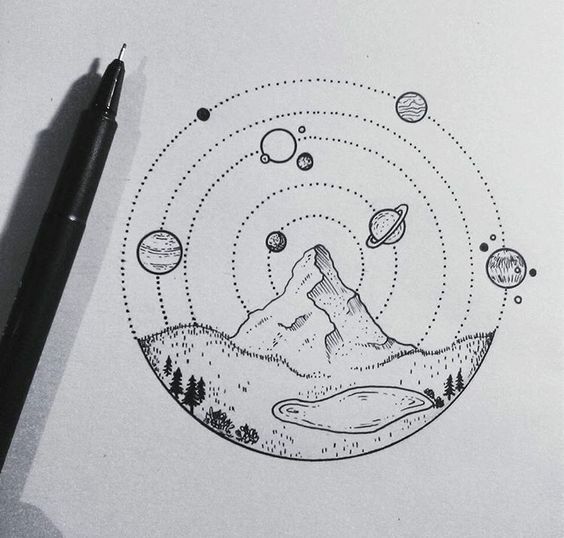 This beautiful sketch shows the beauty of our universe as seen from the desert. Imagine spending a night there! 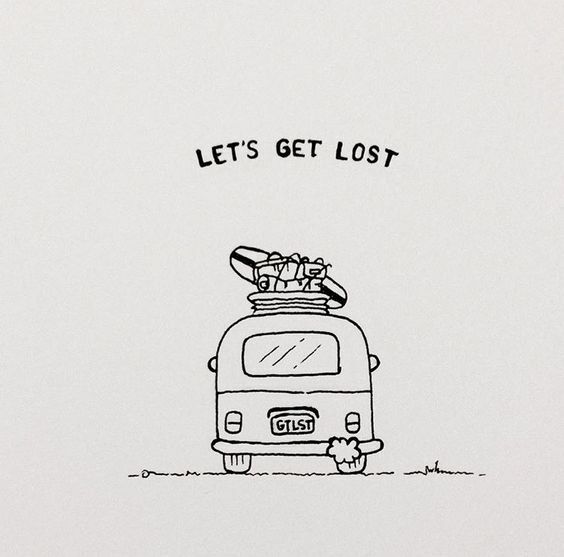 Let’s go! 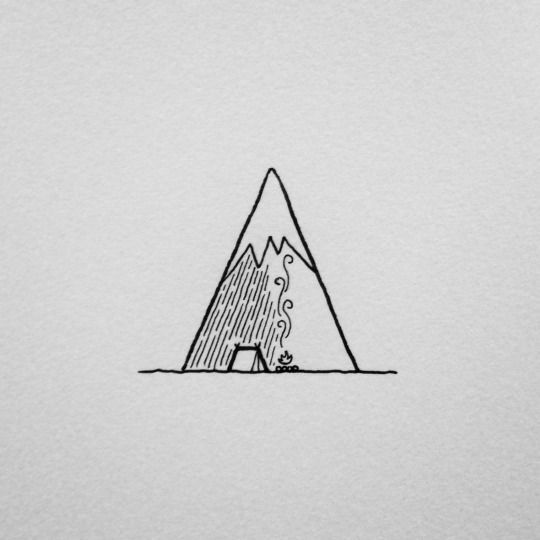 This simple yet effective sketch urges you to leave your woes behind and go out exploring. After all, you only live life once. Wow! 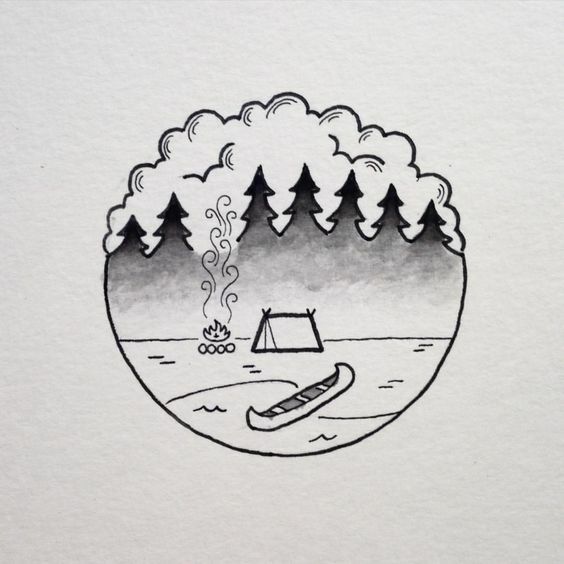 What an amazing sketch once again by David Powell, and this time showing a camping scene nearby shore. As you can see from the canoe that the river is nearby and the person is probably comfortably tucked inside the tent. How do you feel about living in the mountains or perched above a high cliff? Your dreams of floating among the clouds will finally come to life. This is what the image portrays. 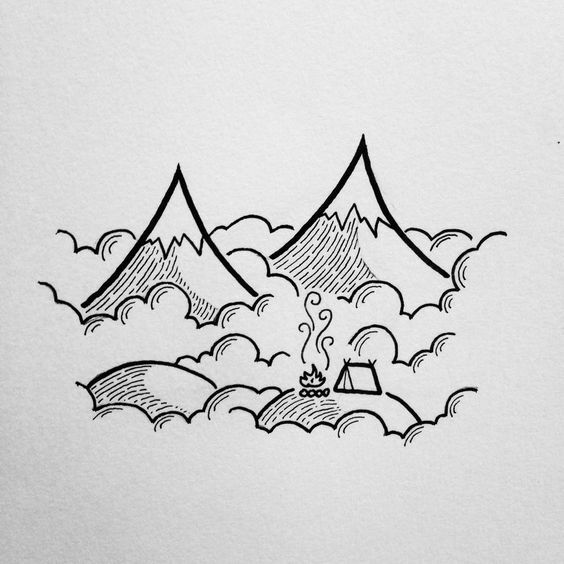 David Powell clearly has some fascination with “high living.” Using imagination, he has now depicted the idea of literally living on top of clouds. 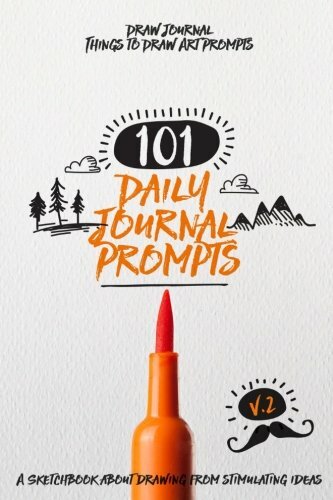 Wouldn’t it be great if dreams could turn into reality? 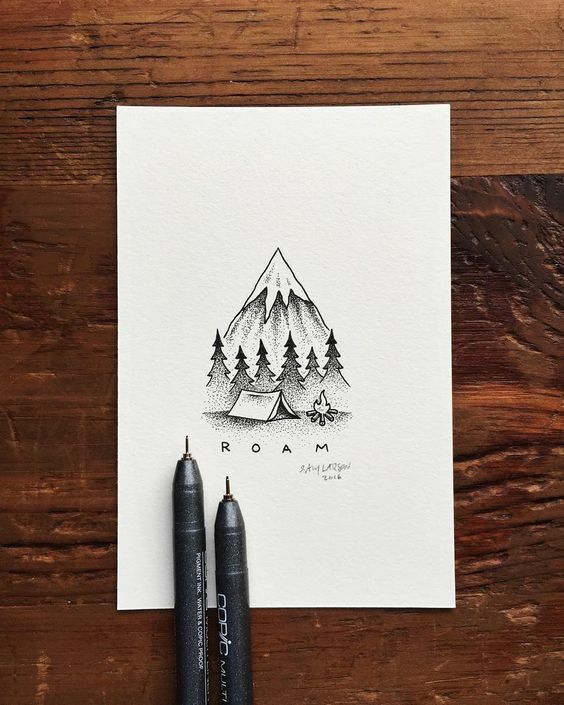 Postcards from nature, for people who love nature. 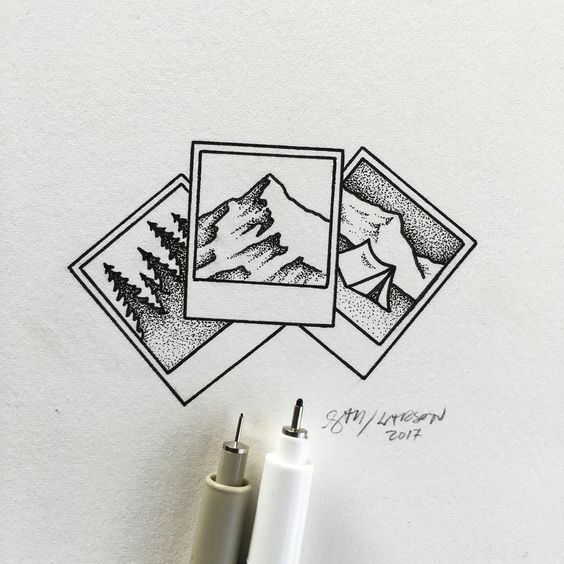 This beautiful sketch shows three postcards of three different scenes, done to close perfection. 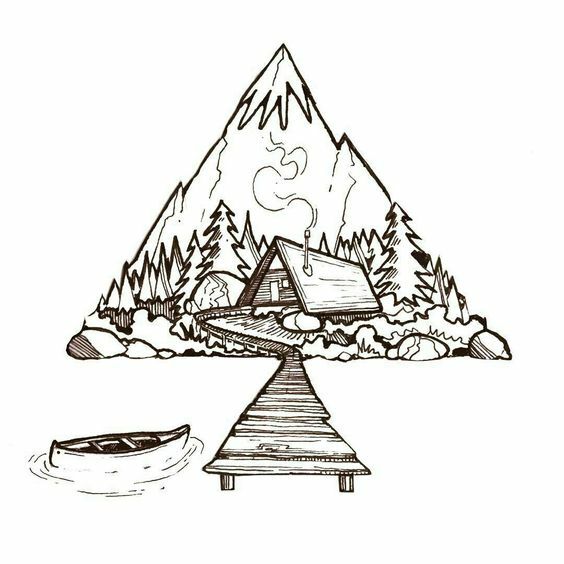 The perfect triangle shows scenery with trees in the distance and a river flowing right down the middle. You’ll find such picture perfect scenes in real life quite easily. 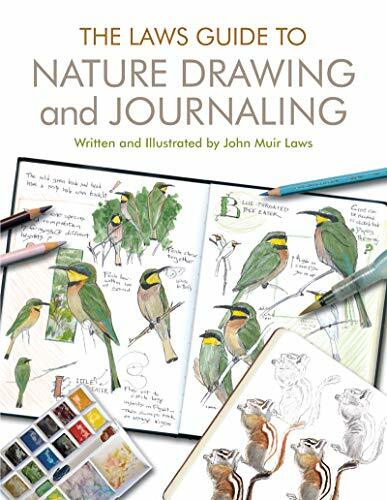 What follows are a series of sketches that portray the force and beauty of nature, which are not easily described in words. 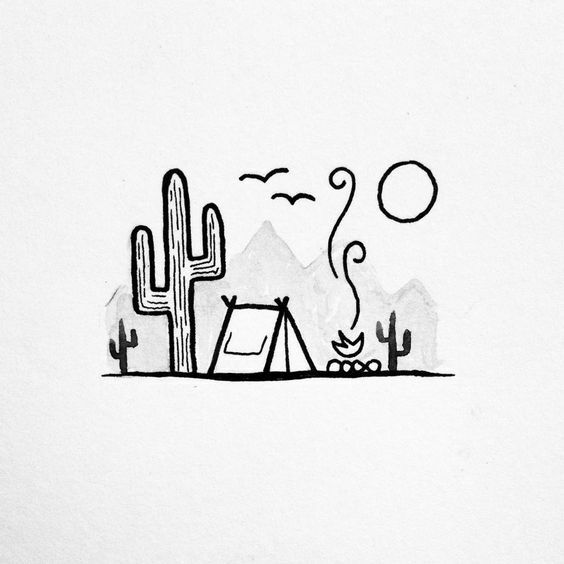 Camping enthusiasts love nothing more than finding a calm place to pitch their tent and get lost in thoughts. For them, the universe could serve the same purpose. 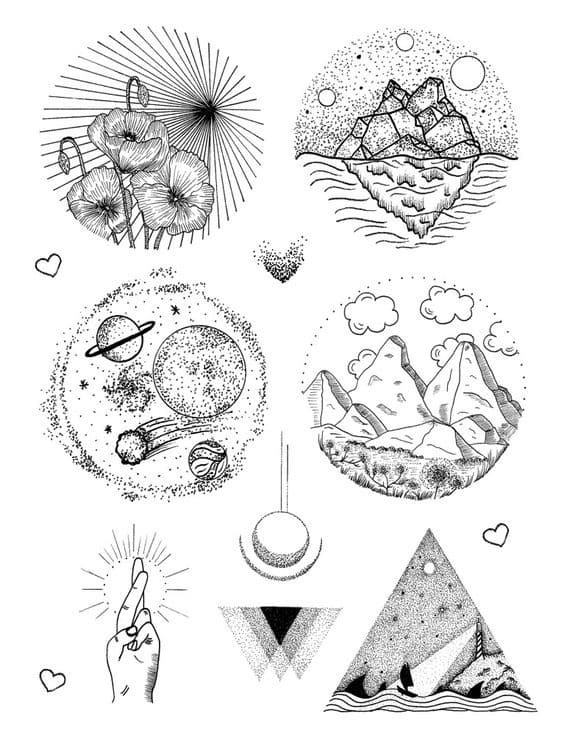 Who would have thought you can blend geometrical patterns with sketches of the universe? 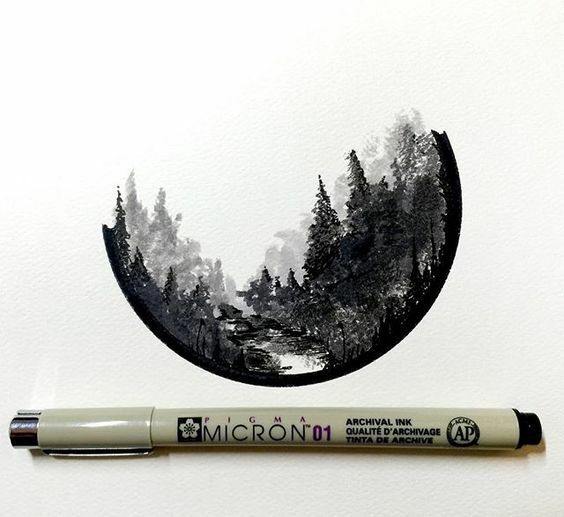 Apparently, this artist did, and they did it in the most spectacular fashion possible! Take one look at this image and you’ll be reminded of the old West and sultry desert scenes. 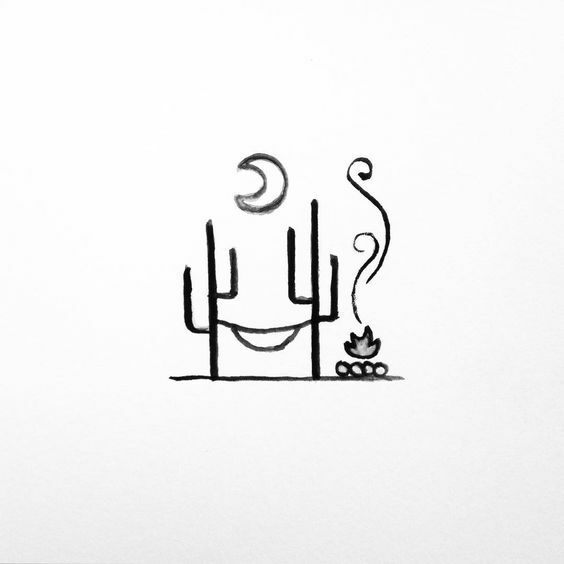 The cactus in the sketch makes all the difference. Another scene showing an isolated yet relaxing spot, complete with a hammock and a bonfire. All you need is a guitar and some Bob Dylan songs to tune. What a breathtaking image! 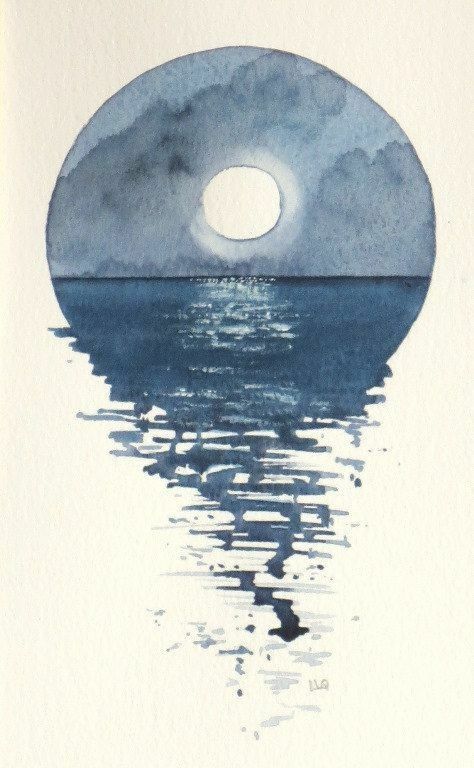 We’ve heard that the moon and the sea are best of friends, but never imagined an artist could capture their relation in a more spectacular way than this. 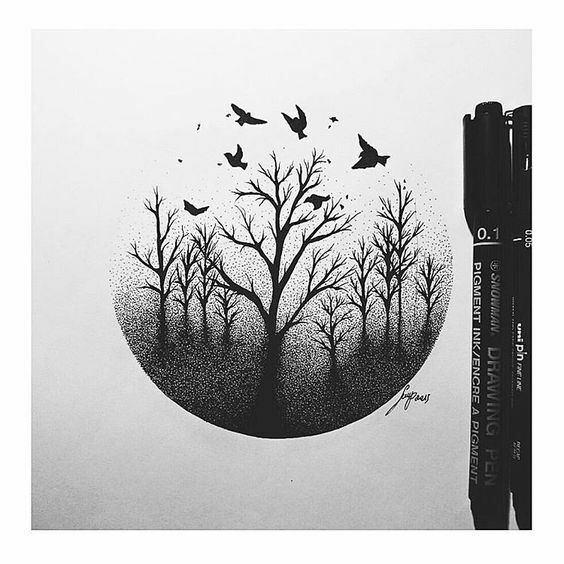 Chaos and beauty combines into one, in this unique sketch of nature. 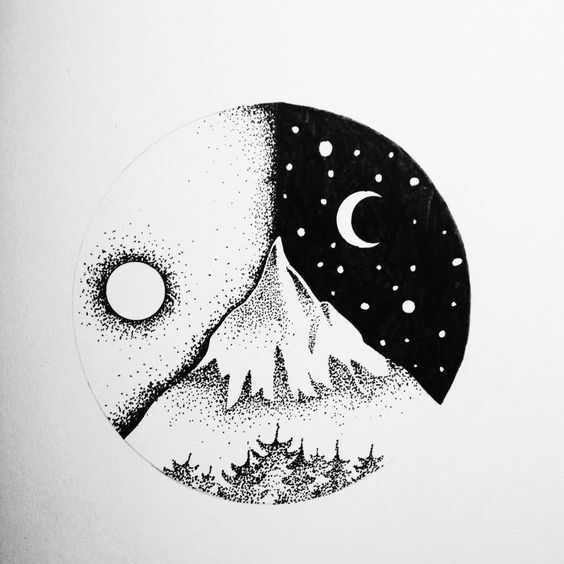 The dots of different shades lend this image its uniqueness. 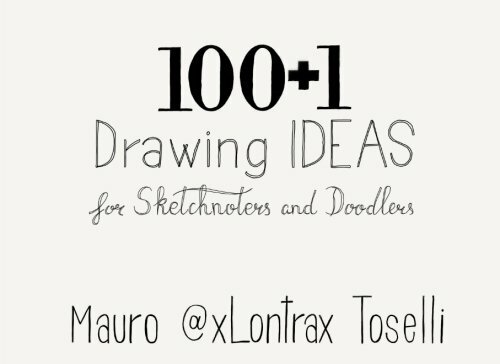 It might take some serious challenge to doodle something as beautiful as this while riding a bus. Just take a look at it – isn’t this the most precious thing you’ve ever seen? Who wouldn’t like to have a house in the woods? Their own abode of serenity, a place of calm amidst the storm. 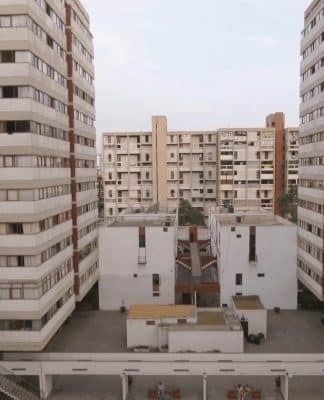 If this sketch doesn’t make you want to build a house like this, then you’re probably not a lover of teacher after all. 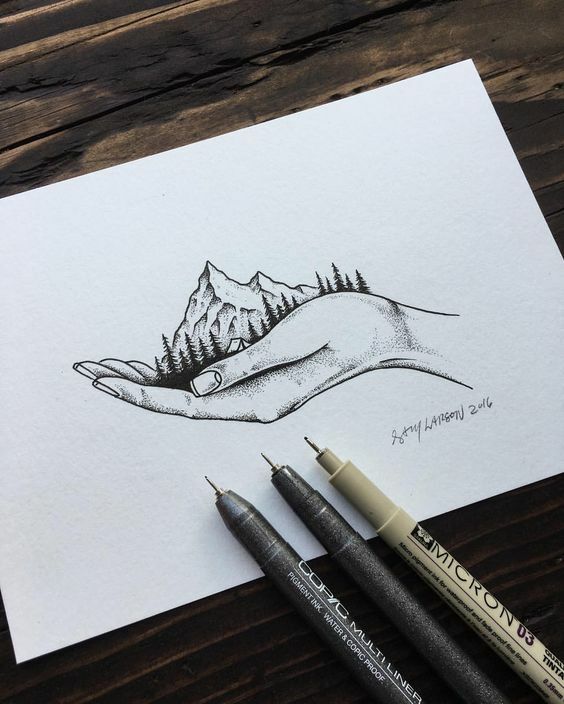 Another beautiful sketch portraying Mother Nature in a unique fashion. 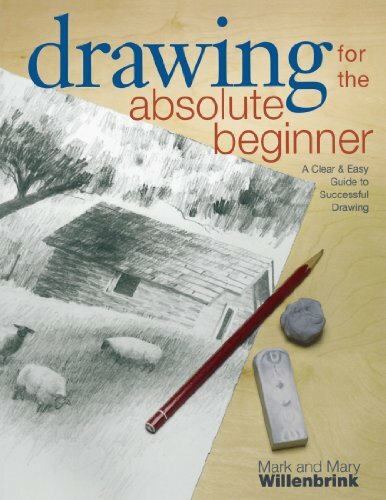 The artist who drew this seems to have projected his thoughts of “the perfect place” to stay in a white paper canvas. A scene that looks straight out of the TV show Stranger Things! Do you fear going into the world of upsidedown? Well, this artist certainly has taken a liking for it. The crescent moon captures the reflection of a mountain scene. This image is not only unique, but very soothing to look at. 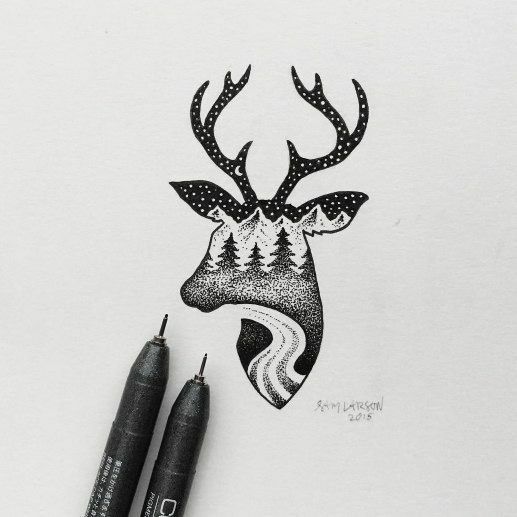 The silhouette of a deer becomes the perfect canvas for painting a starry night in the woods. 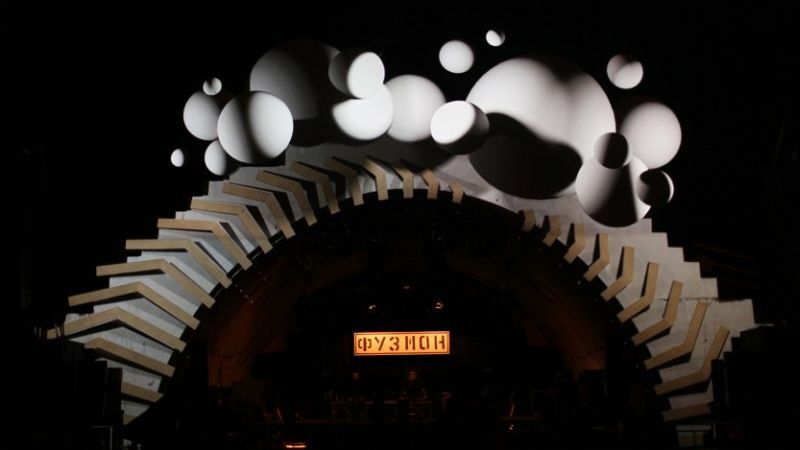 We don’t know what this effect is called, but it sure looks Rad! 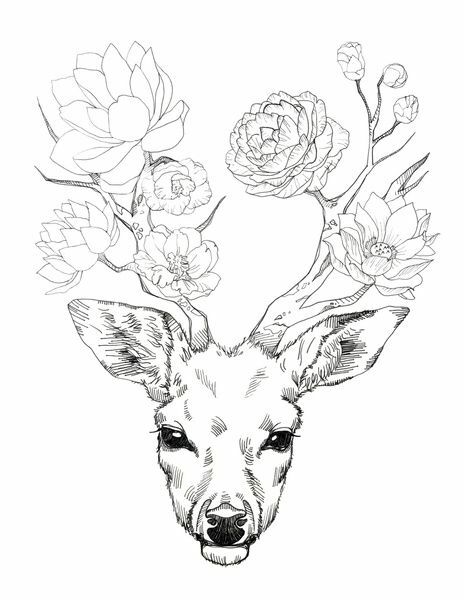 Don’t you love deers? Some tribes revere these gentle beasts as spirits of their ancestors and do everything necessary to protect and love them. The artist seems to share the same impression. This is one image that leaves us speechless. 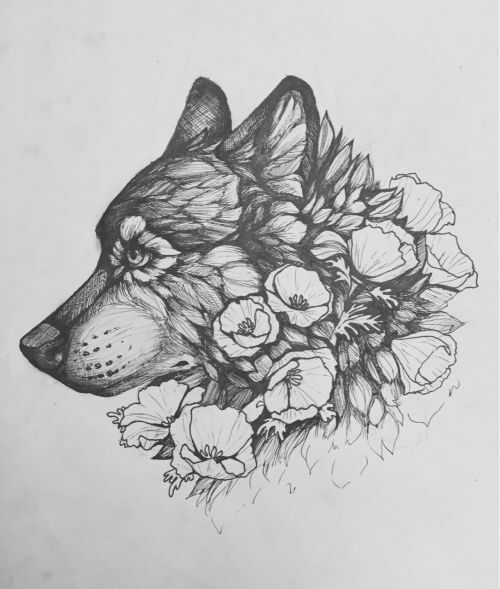 How on earth did anyone think of adorning the face of a wolf with flowers? Whoever did it, did so without realizing that they may have created a masterpiece. Did you ever think a kaleidoscopic pattern can be as beautiful as this? 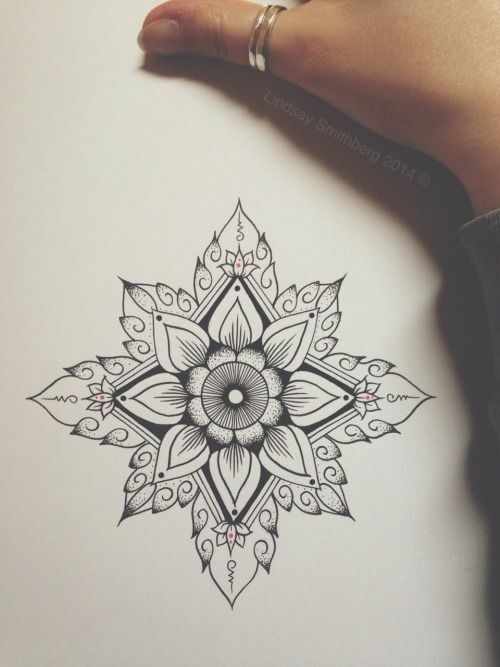 Well, we say that it’s the flower patterns making the difference as well as the artistry that has gone into it. 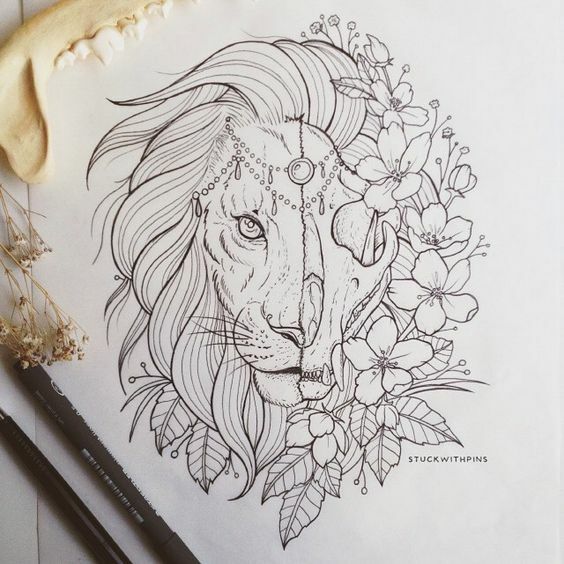 A thought-provoking sketch of a lion half alive, half decomposed, surrounded by flowers and leaves. This art possibly implies how nature holds the power to give and take life. Gaze into the soul of this animal and you’ll see what the artist had intended to portray. 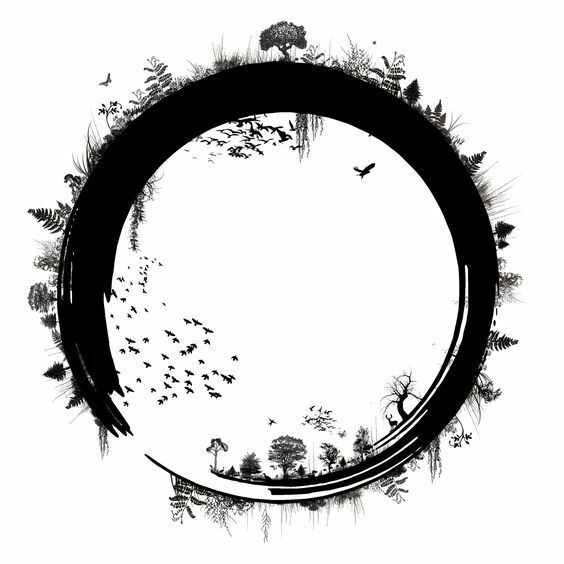 A beautiful sketch of what seems to be portraying the circle of life. Birds, trees, and other plants of various types surround this circle-like shape, giving it a truly magnificent aura. A haunting sketch of what looks like a scene in the forest with nothing but dead trees and a whole lot of mist. The crows flying at to the element of horror and mystery. 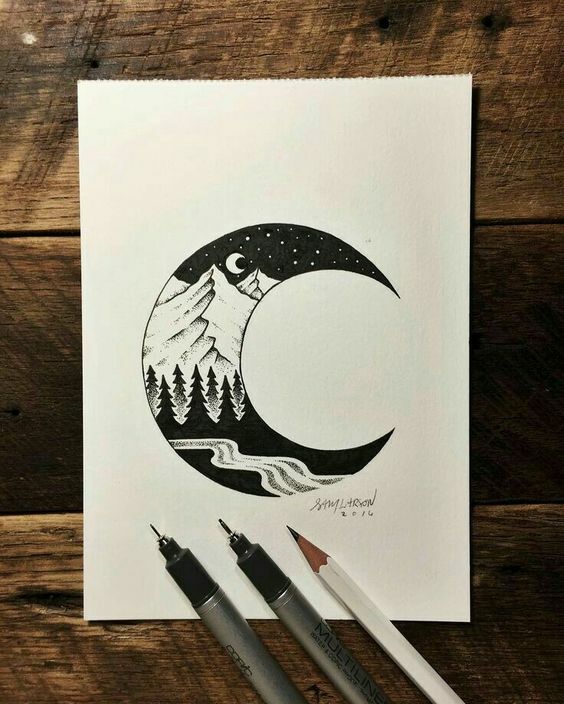 Nothing much to explain here – it’s just a beautiful image drawn within a half moon shape. Despite the ambiguity, you can clearly see the river flowing in the middle of the scene. 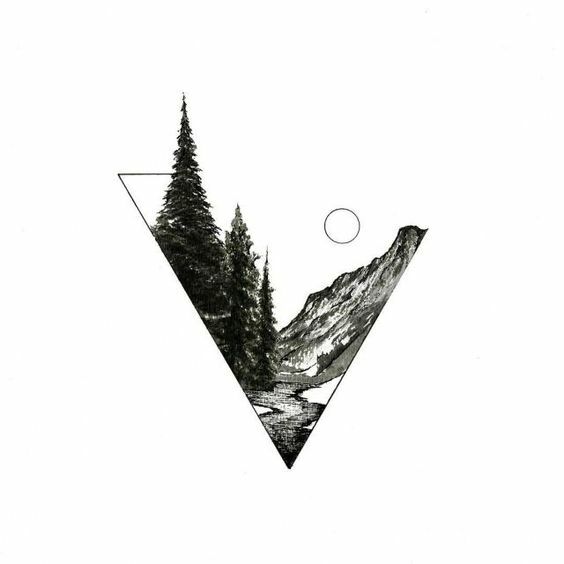 It’s fascinating how much artists experiment with creating scenes inside geometrical shapes. 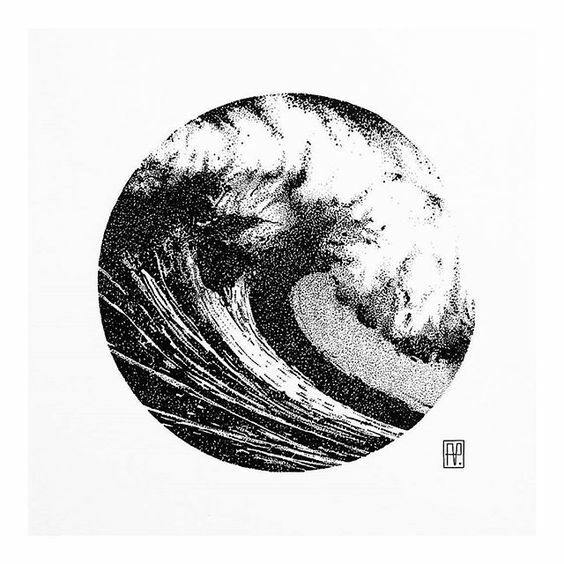 This one wonderfully displays a large, roaring wave in the middle of the sea. 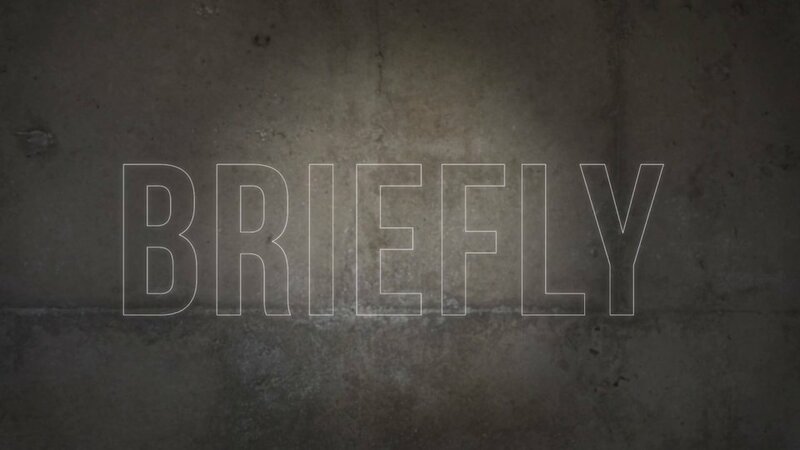 It is as the headline of the image says – outlines of a cliff, probably sketched using pencils. 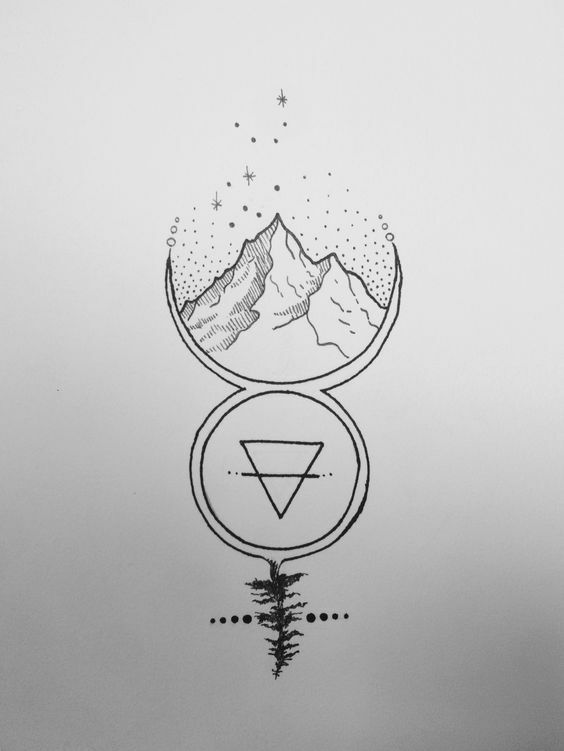 The birth of the mountains drawn using minimum number of lines. 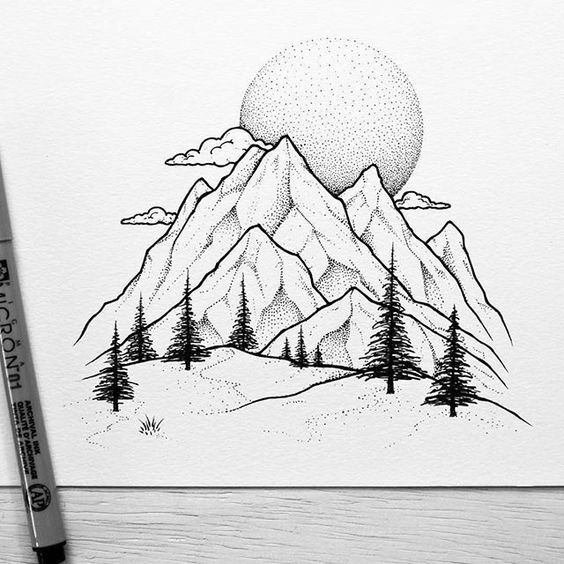 Come to think of it, you cannot tell until the last image that the artist intended to draw a scene of the mountains. 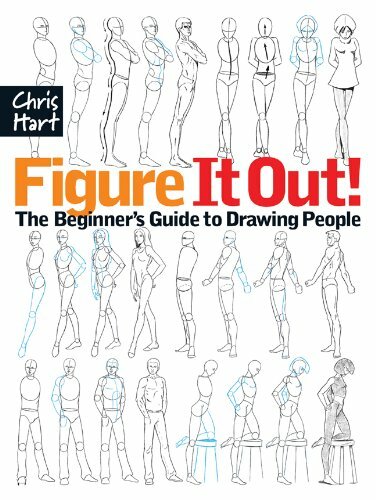 Ever heard people saying “think out of the box?” Well, this artist took it a little too literally and came up with this interesting sketch. The river flowing out of the geometrical shape portrays the artist’s unique thinking. 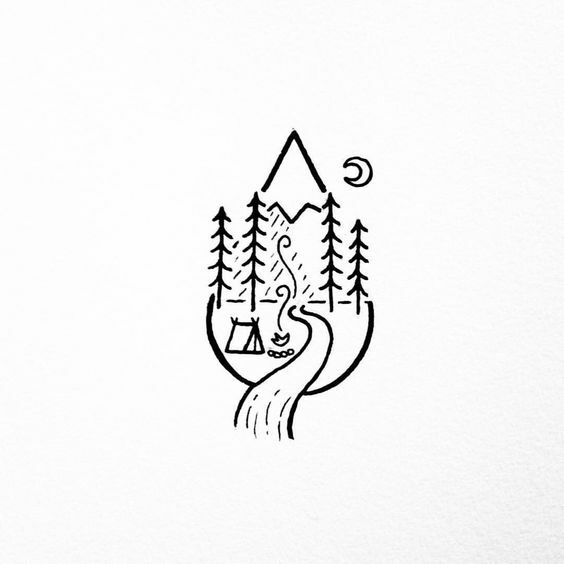 Another wonderful sketch of a hand holding out a camping landscape. 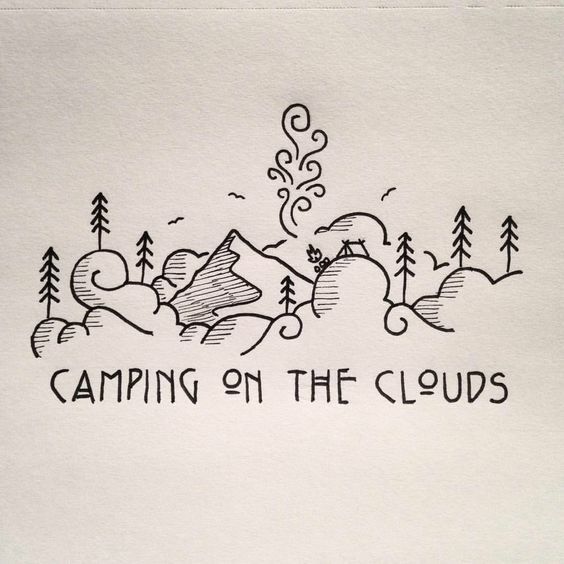 We bet the artist was really wishing he could escape the world and go pitch a tent when they drew this. Holding hands or two roots intertwining? It’s actually both! 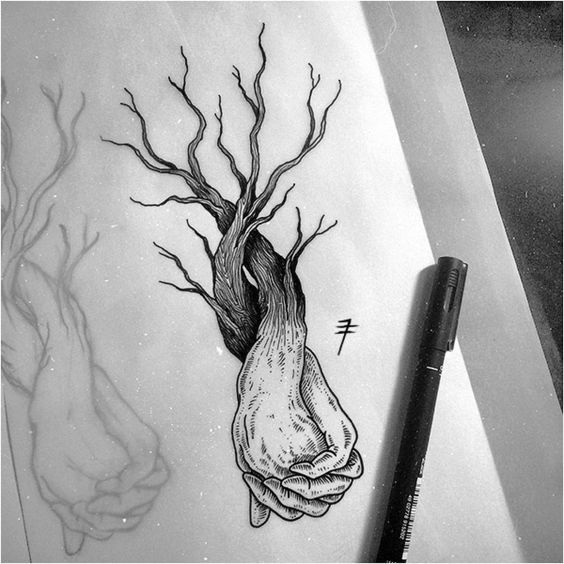 We believe this surreal sketch urges the viewer to accept nature as it is and become one. 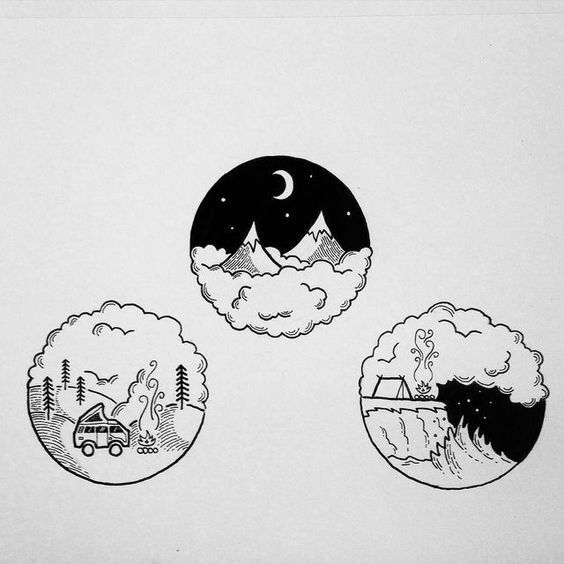 The elements of nature and the process of life wonderfully displayed in a highly illustrative sketch. 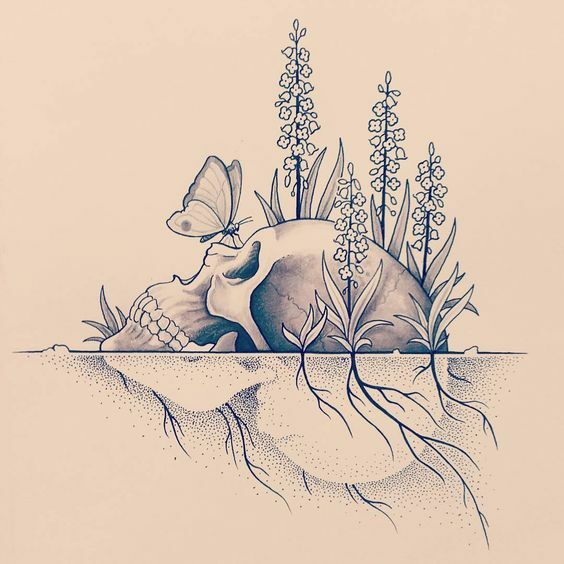 Look at how the butterfly perches on top of the skull and the roots that go well beneath the ground. It’s the attention to details that steals the show. 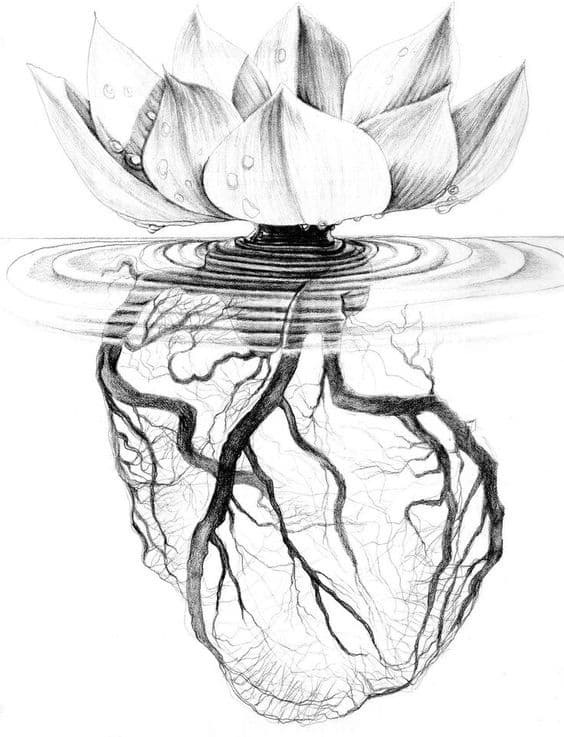 Another fascinating illustration showing a lotus flower connected to a human heart. We wonder what the artist was thinking when they do this. Pretty simple to explain, don’t you think? All Sam Larson is trying to say is that he loves gazing at the mountains on a beautiful moonlit night. Wow! 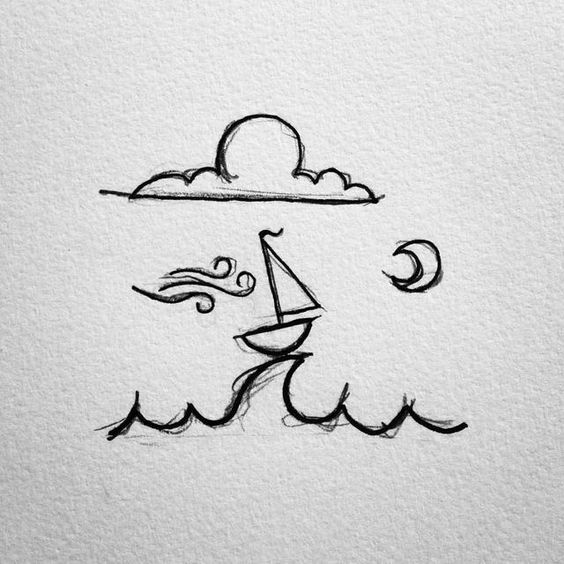 It really takes some imagination to conjure a scene showing a boat being flung high by a powerful wave using only a few lines. Doesn’t this image take your breath away? 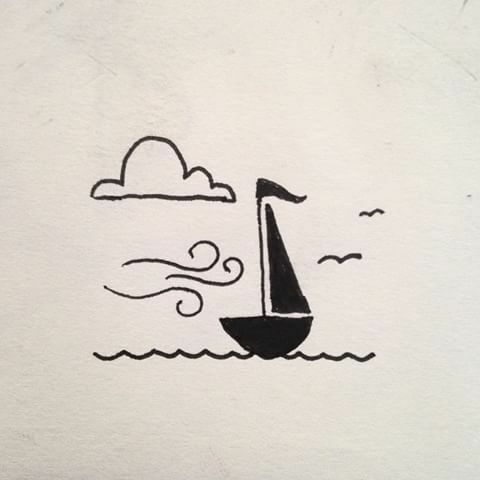 A light-hearted image showing a boat sailing in the sea with high winds. It’s amazing what a few pencil strokes and a black highlighter can do. 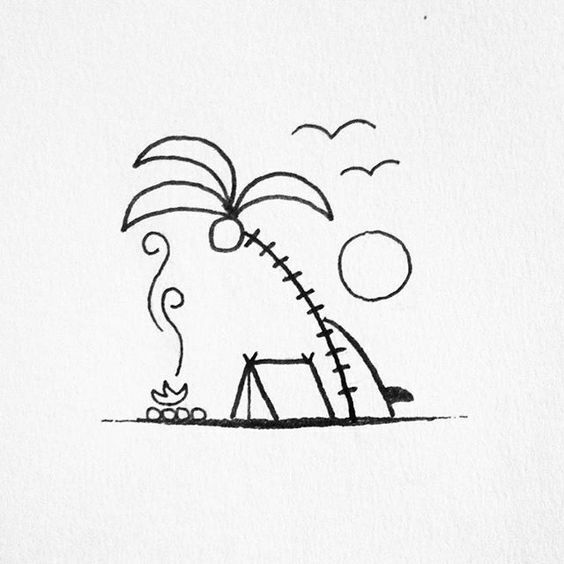 A scene of a tranquil campsite with an unusually large coconut handing over the tent. You can see that the shape of the coconut is competing with the size of the sun. Again, this image has been achieved using only just a few lines. 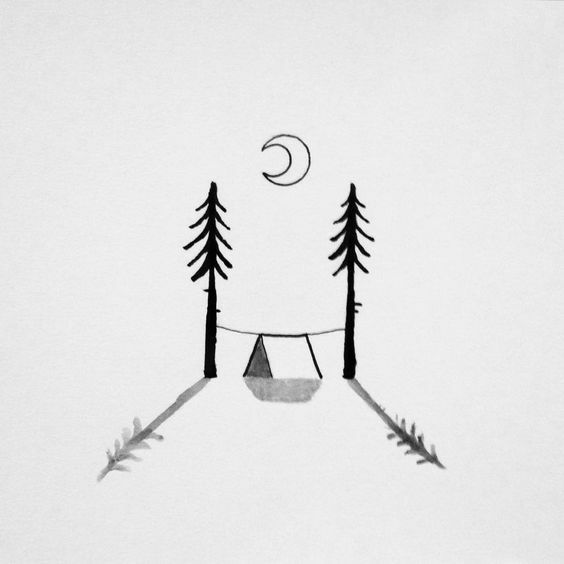 A tent between two trees and under the supervision of a crescent moon. Can life get any better than this? 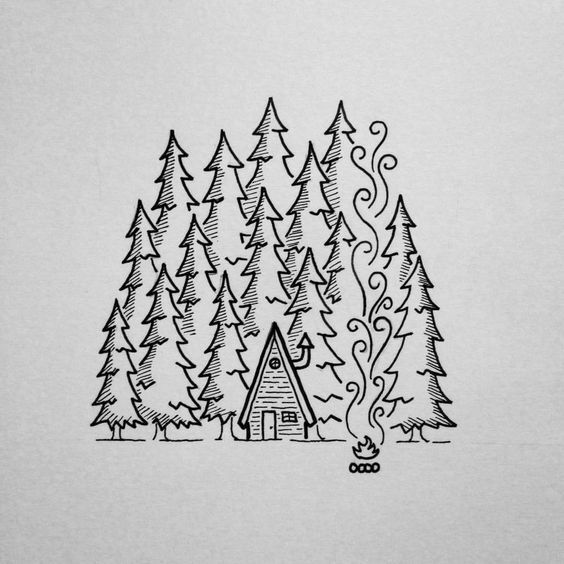 A sketch that looks like a scene out of a fairytale, shows a house with his sloping roof with a bonfire in front and fern trees overlooking from the back. This image is truly magical to say the least. 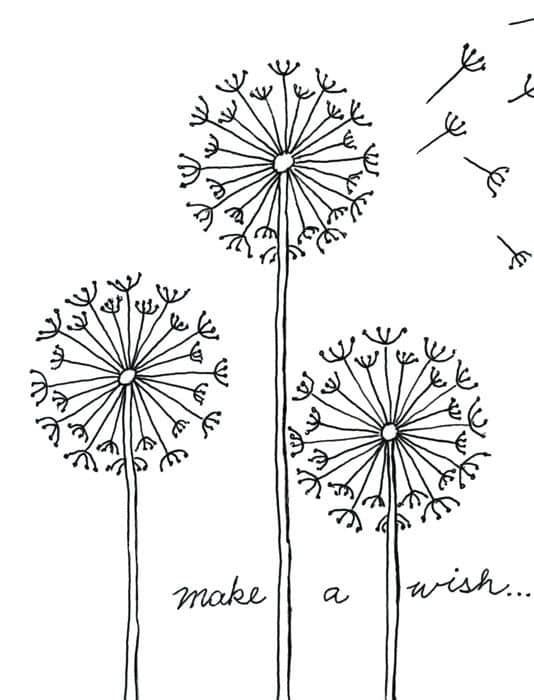 This is a simple yet sophisticated image saying Make-A-Wish. 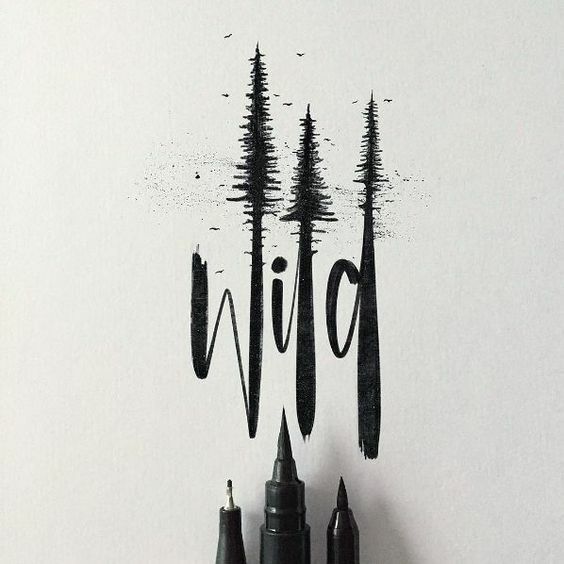 Everything element apart from the text has been drawn using pencil strokes. 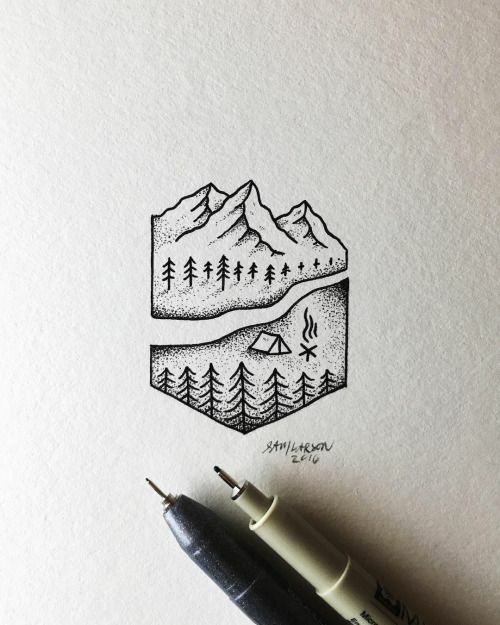 Using the perfect combination of soft and hard pencil strokes, the artist has managed to craft a neat portrayal of a mountain camp side at night. 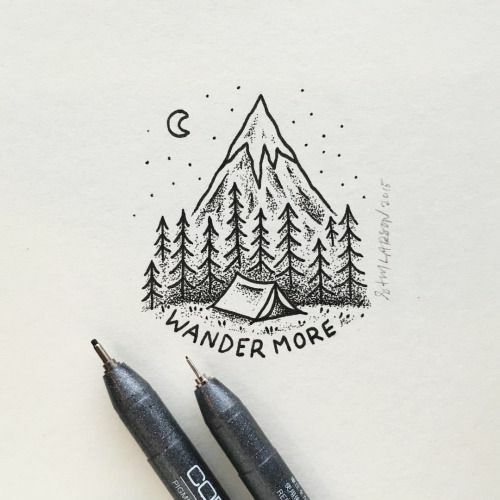 From the text “wander more” we can tell that they are urging the viewers to go out and live life. 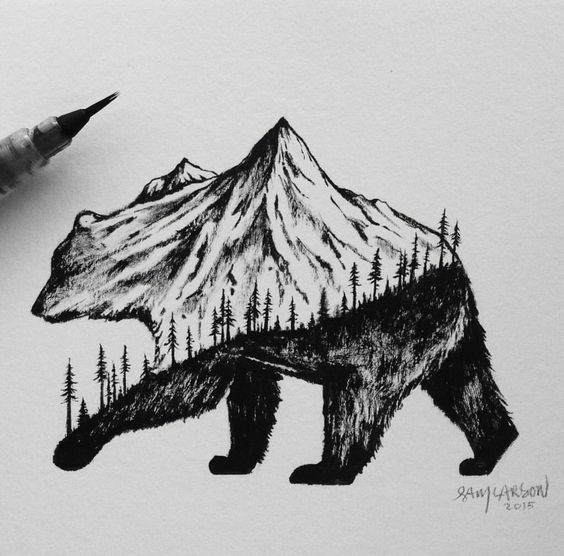 Sam Larson has once again created magic by fusing the elements of nature inside of a bearlike figure, signifying their harmonious relationship. It’s time that we treat a nature with respect for the sake of mankind. Ever seen Fox’s diving into thick ice in search of her prey? 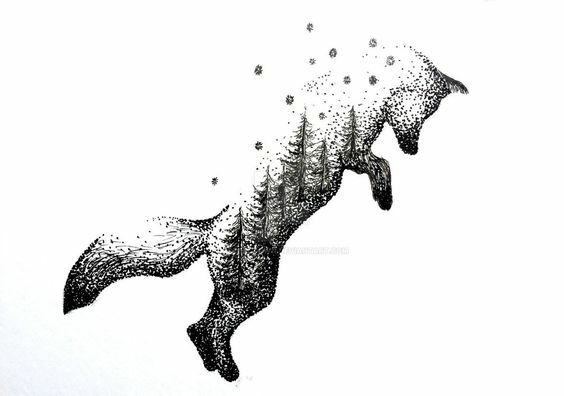 Well, this drawing wonderfully captures that breathtaking moment of fox leaping into the air. 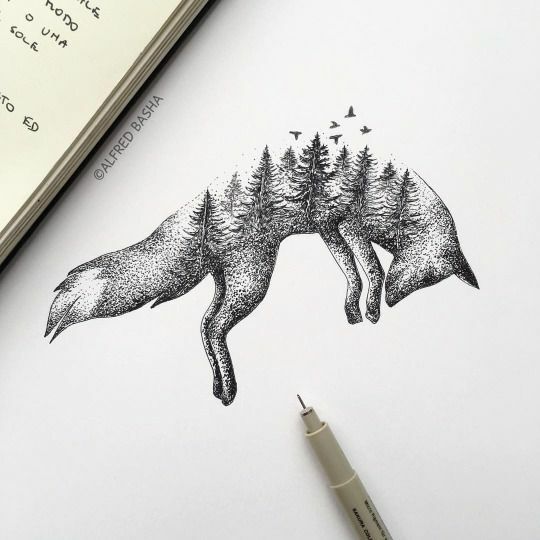 As you can see, some trees have been sketched within the boundaries of the Fox’s body. 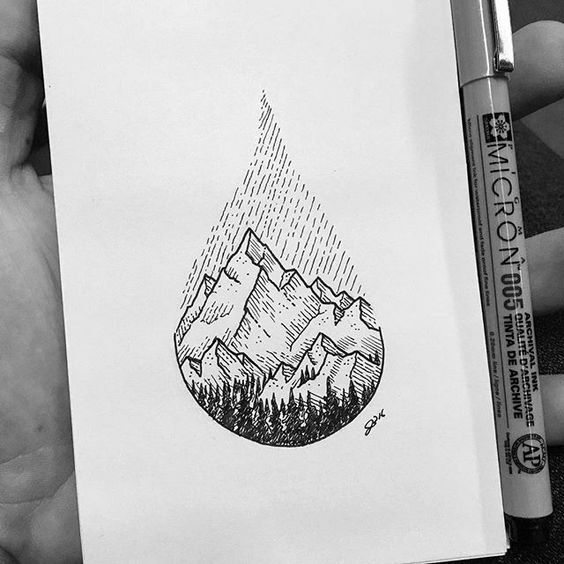 How unique is this sketch? 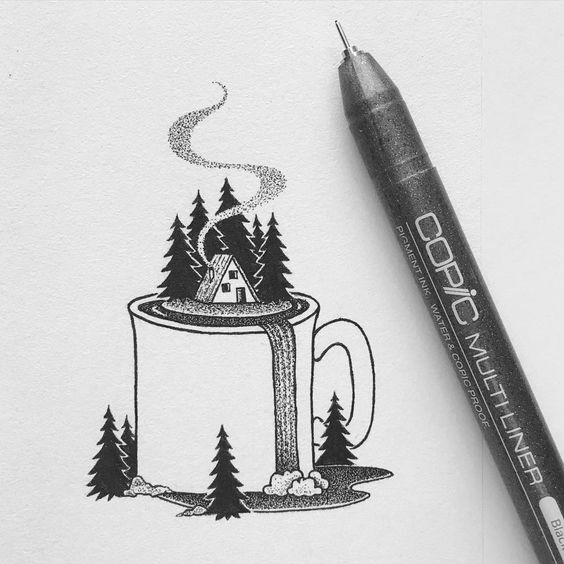 If the first thought that comes to mind when you reach out for that morning cup of coffee is camping, then this drawing speaks volumes about the artist’s thought. ‘Keep it Simple’ is the motto of this countryside scene. You can see how comfortable the house is nestled with clouds and the mountains converging at the back. Blissful, wouldn’t you say? There is nothing much to talk about in this scene. 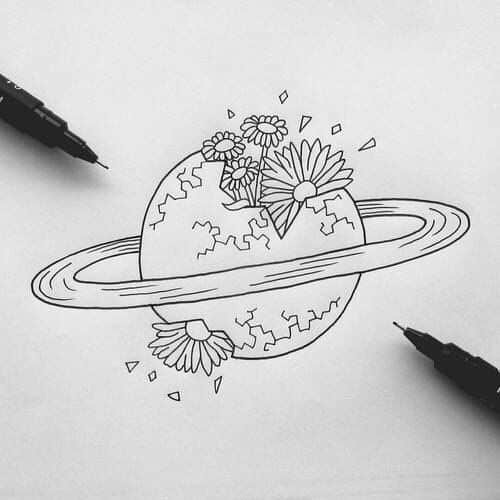 It just shows some elements of nature metaphorically breaking through the ringed planet. This illustration goes to show how the forces of nature triumph over all. 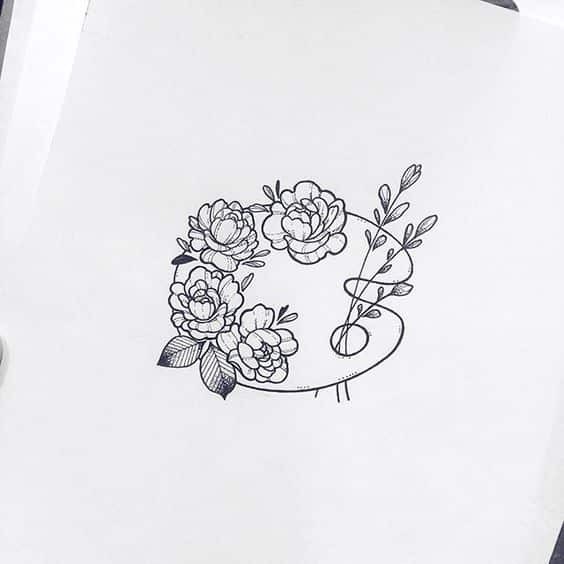 A simple sketch of paint tools replaced by some flowers and a slender branch. We wonder what the artists had in mind when he was drawing this. 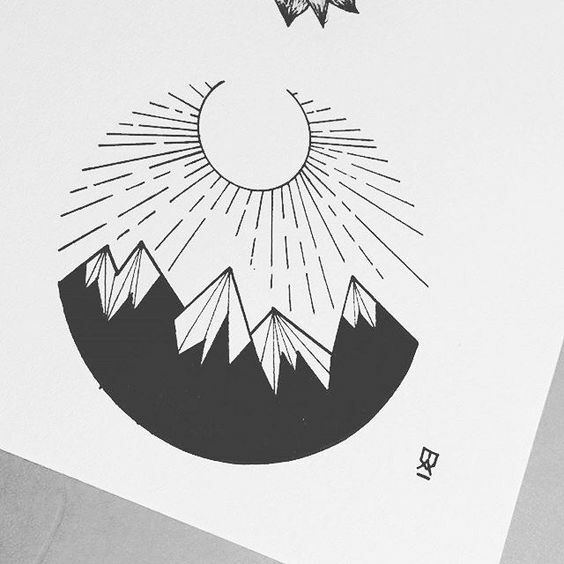 A surreal sketch showing a mountain acting as a divide between night and day. 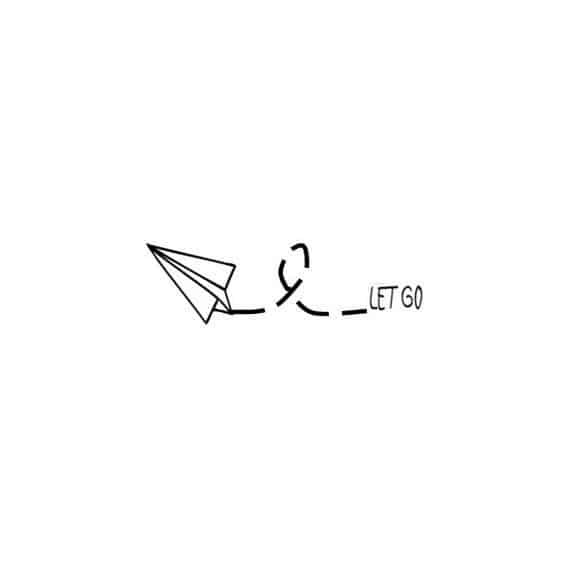 What does the image portray? Probably that the concepts of the day and night are man-made and there is not much of a difference anyway. 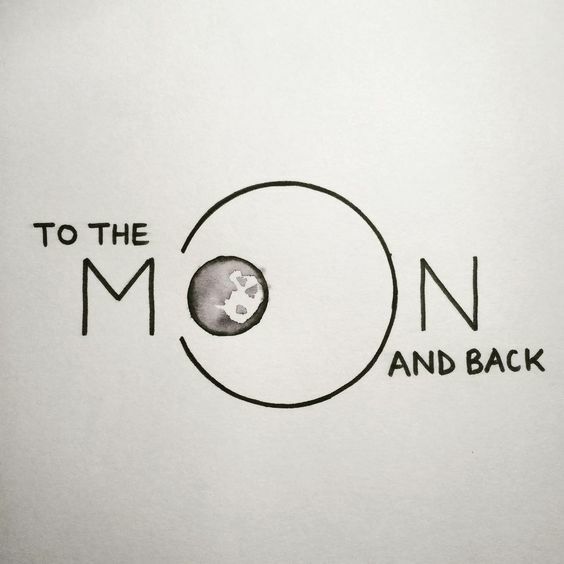 “To The Moon and Back” is the sketch of something that we probably don’t know. It’s unclear if the artist wanted to credit something or just made it out of imagination. All we can do is appreciate such creativity. Probably the most beautiful portrayal of the known universe that we have ever seen. Notice how the sun takes center stage and all the planets orbiting around it. 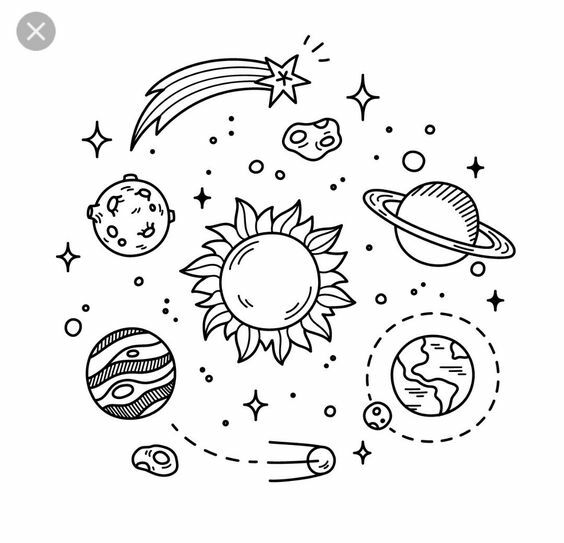 Really leaves no doubt in your mind that the sun is the mightiest celestial body of all. 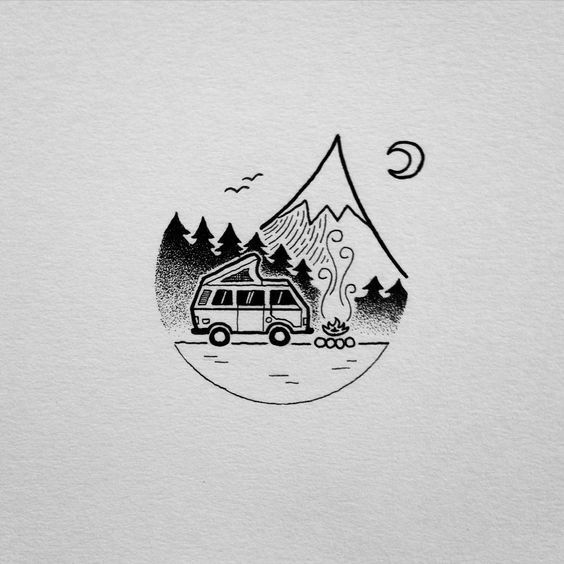 You’ve seen many camping sketches featuring an RV, but this one is special indeed. 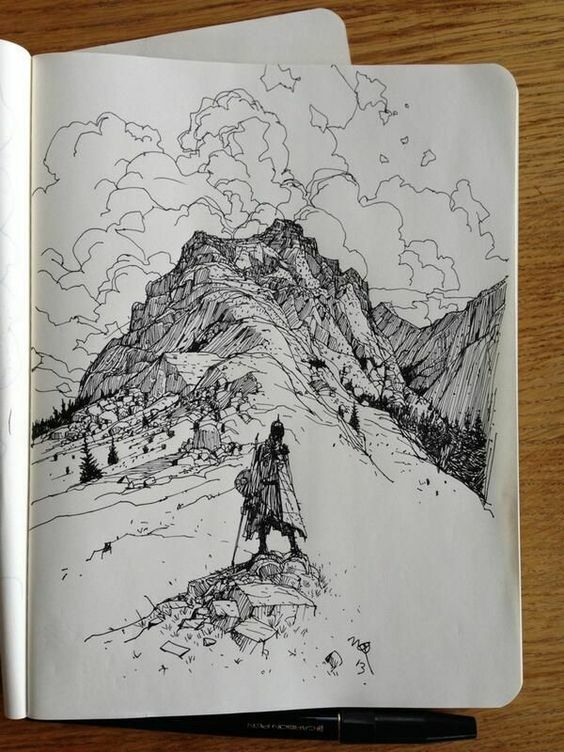 Not only is the sketch intricately drawn, but the details in the distance scene are astounding. “And if your head explodes with dark foreboding tunes, I’ll see you on the dark side of the Moon.” The lyrics to the Pink Floyd song is the only thing that came to my mind when I laid my eyes upon this image. 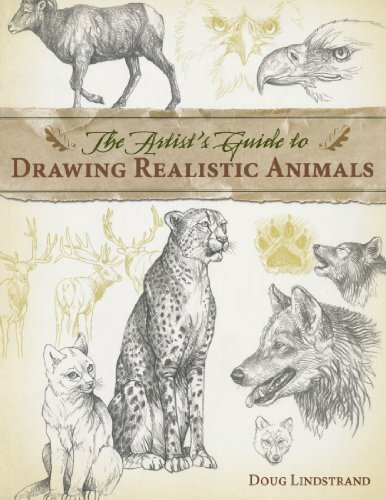 It’s not uncommon for artists to depict natural scenes within sketches of animals. 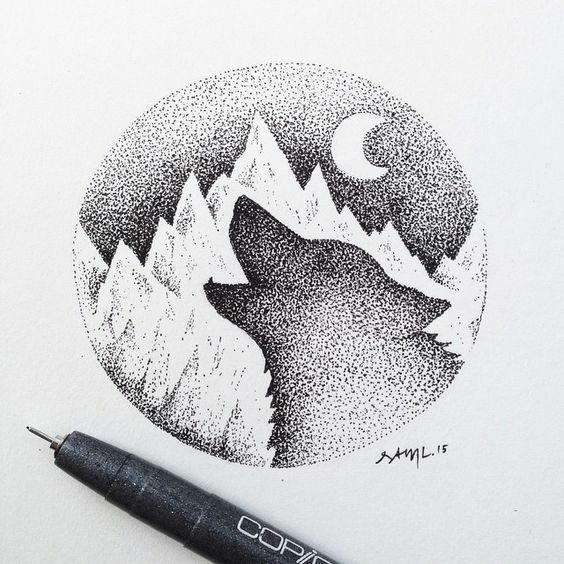 This one shows a wolf lying down and the sketch of a nature site. It’s unclear what the grand image this tattoo is trying to portray. All we can make out is that it is somehow involved with the professing of love. Gaze into the round framed sunglass. 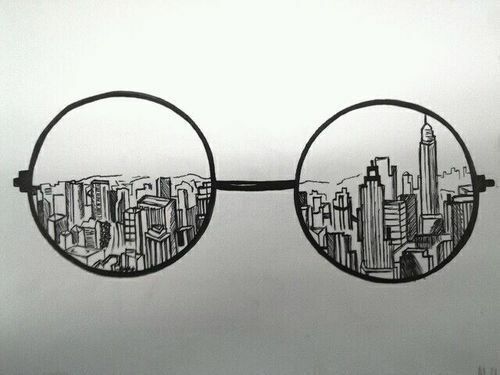 What do you see? 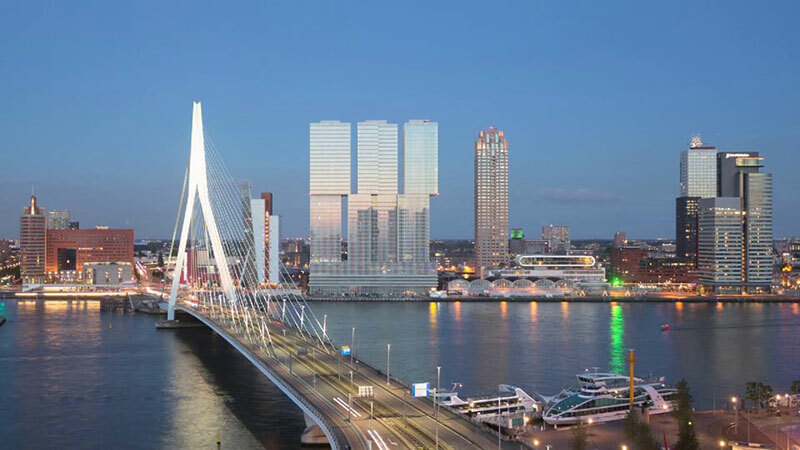 No, it isn’t a trick question from The Matrix movie; you can clearly see the reflection of a city scene. 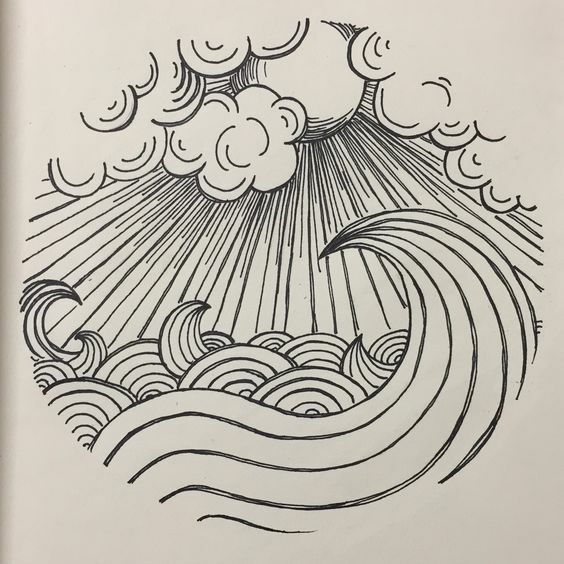 Using a lot of wavy patterns and only a few shades of lines, the artist has managed to capture a scene of the sun peeking through the clouds and falling upon high waves. Another Wander More sketch urging to live your life to the fullest. The quintessential camping tent, and fern trees along with the mountain overlooking from a distance are all present. 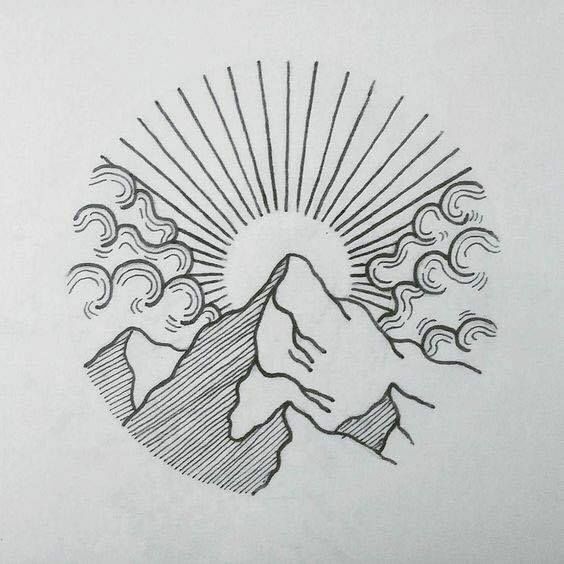 The sun rises magnificently over a tall mountain, dispersing the clouds and dispelling darkness. You have to admire how effortlessly the artist has portrayed this serene scene. 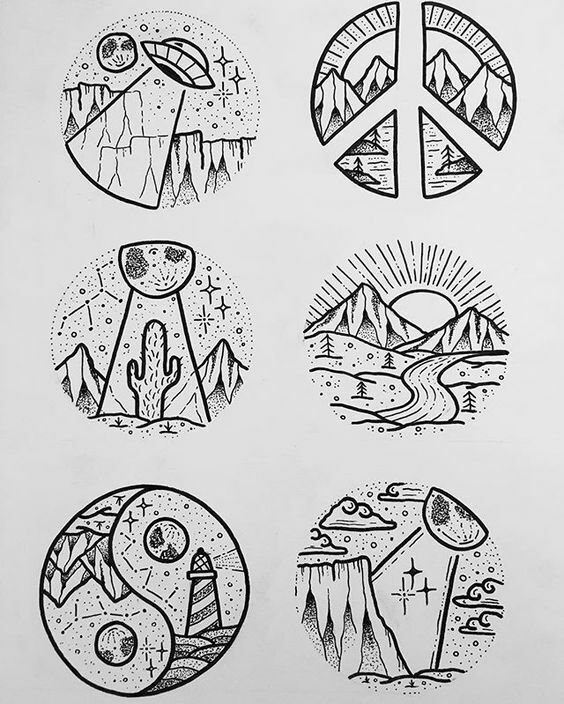 Many scenes depicted in many different circular formations. What you make out of it is entirely up to you. 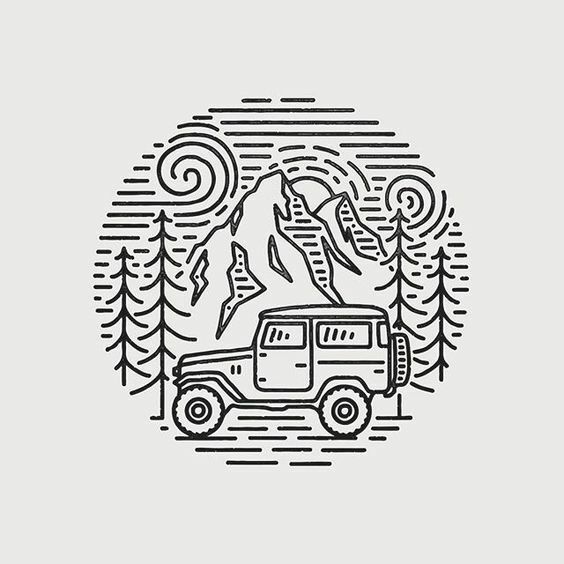 Very few things can be as exhilarating as riding a jeep into the wild. After all, the brand made its name in the off-road cars industry by appealing to a niche audience. RV lifestyle, though fun, is not for everyone. 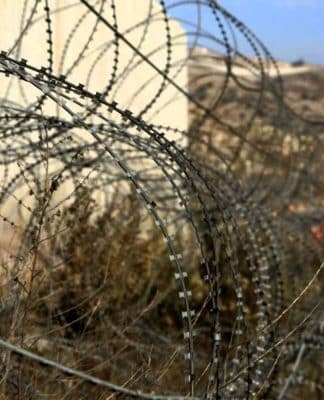 It is for seasoned travelers or the Gypsy at heart who cannot imagine living life within man-made boundaries. 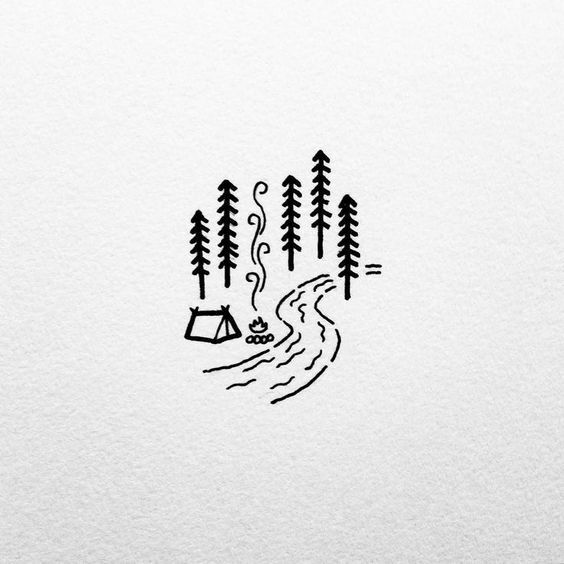 This simple yet beautiful sketch is a tribute to that sort of lifestyle. A picture is worth a million words, and this one doesn’t need any description to go with it. 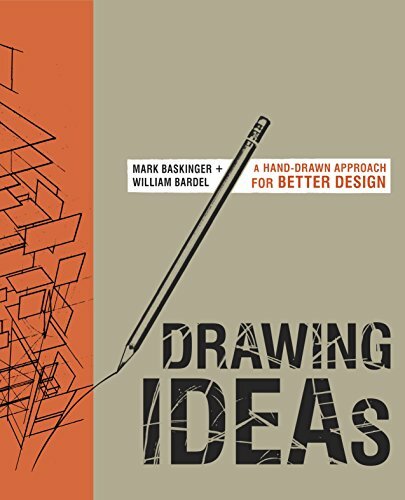 The collection of excellent sketches confined within geometrical patterns. 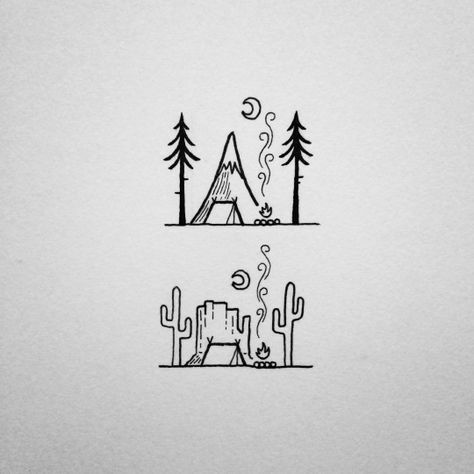 The sketch of the sleeping fox in the middle is our favorite; which one is yours? 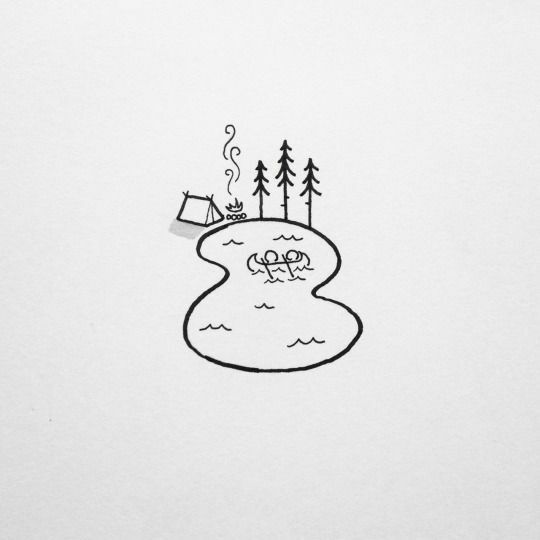 A beautiful camping spot drawn using only a few sketches. You can clearly make out the two campers canoeing in the middle of the pond while the bonfire burns nearby shore. 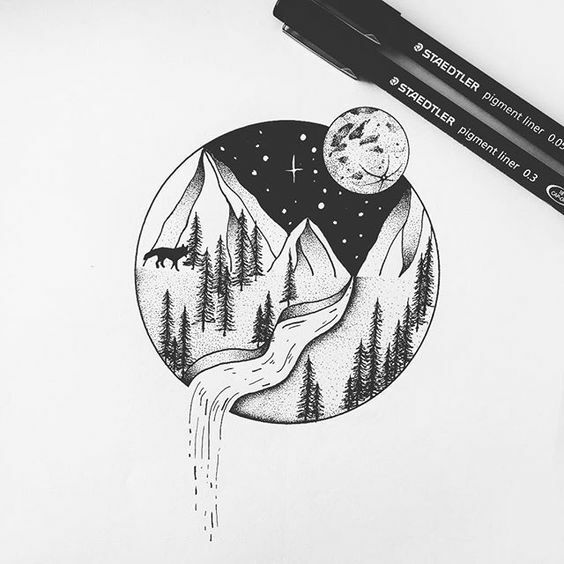 The Howling Wolf, the crescent moon, and lots of natural elements surrounding the scene. 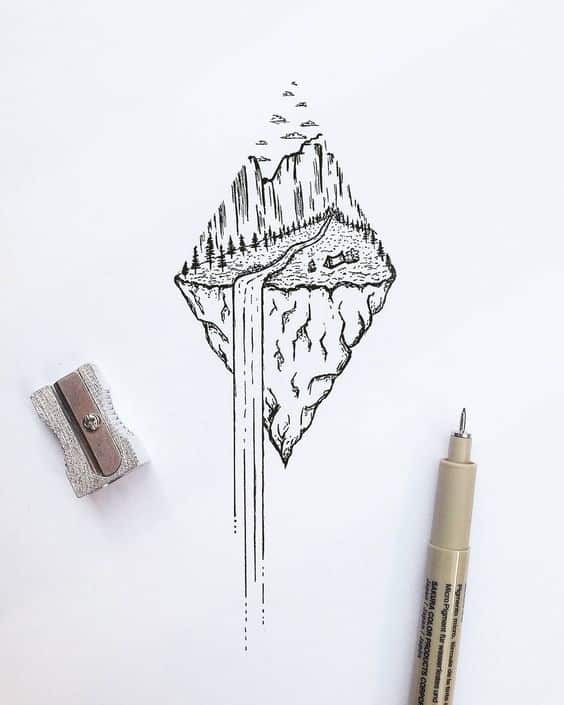 This sketch doesn’t need any description. Is this a scene from The Little Red Riding Hood? Hard to tell because the wolf figure in the image does not appear to be malevolent. We have to appreciate the artist’s idea though. Jaren Kohn the master illustrator has no lack of work to be crowned among the league of jewels. This is one such sample! We leave its interpretation up to you. An image with colors for a change! Doesn’t this RV remind you of the good old 70s? 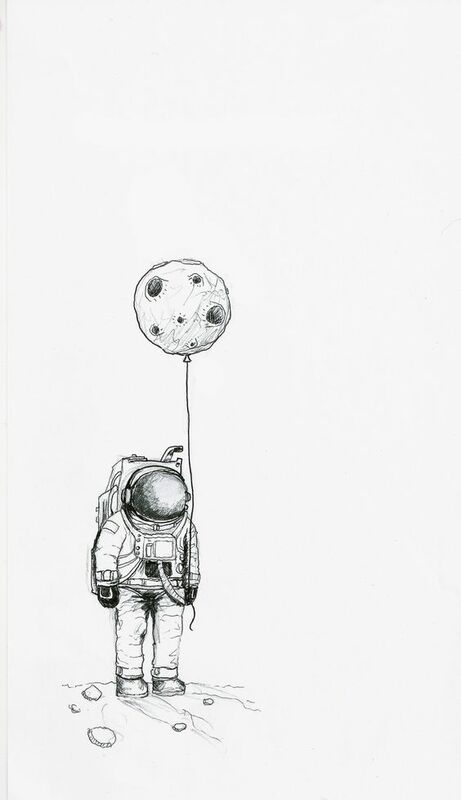 An astronaut standing still with a balloon? Oh wait! That’s not a balloon, but the texture appears like that of the Moon. Again, it’s hard to tell what the artist was aiming to portray with this sketch. The word RUN, written as if the R itself was running. Nothing more to say, really. 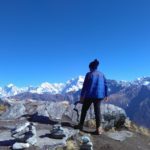 For those who are adventurous at heart, there can be no greater joy than setting off into the wilderness to take a long break from city life. Be it with your friends or alone, the respite you get from living away from home is priceless! We hope that our collection of art from some wandering souls were able to inspire you to travel once again in search of the unknown. This was sooo cool! 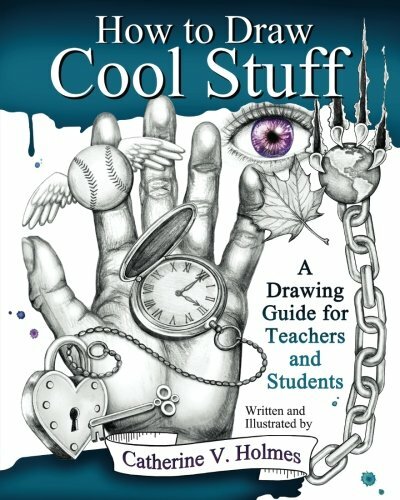 There were so many ideas that sparked my imagination into this art style! 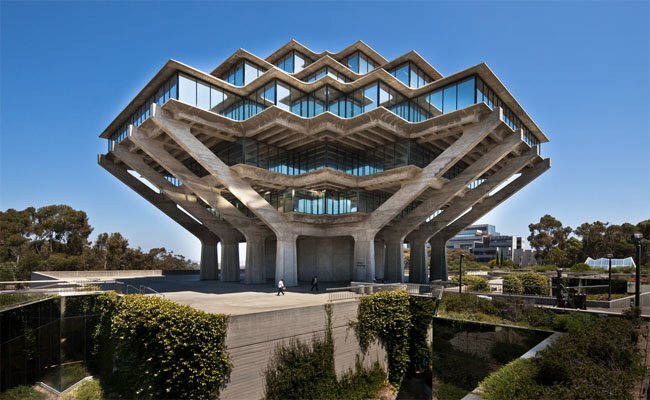 How do universities build identity? How much of a school's identity is bound up with its academic achievements..